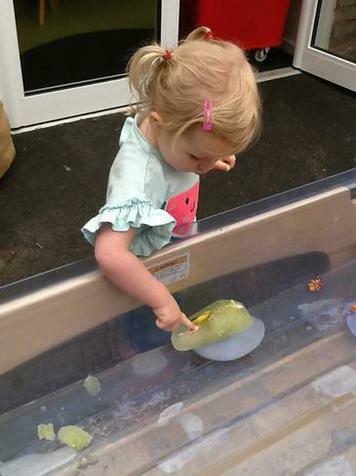 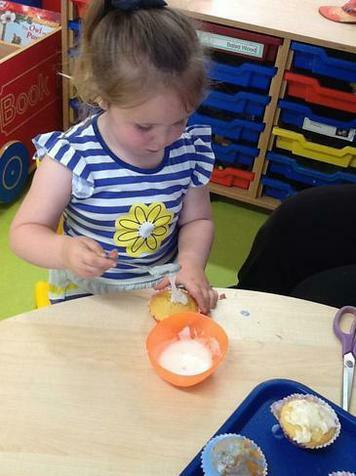 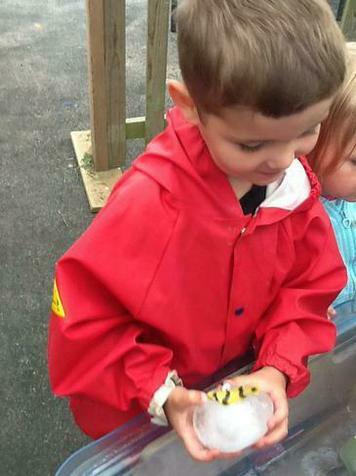 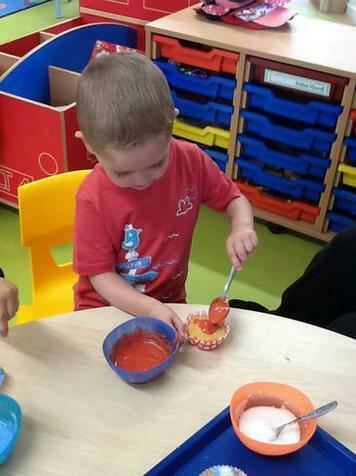 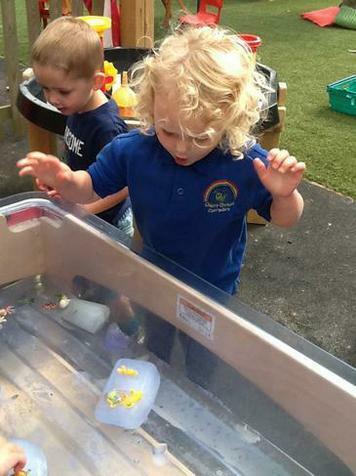 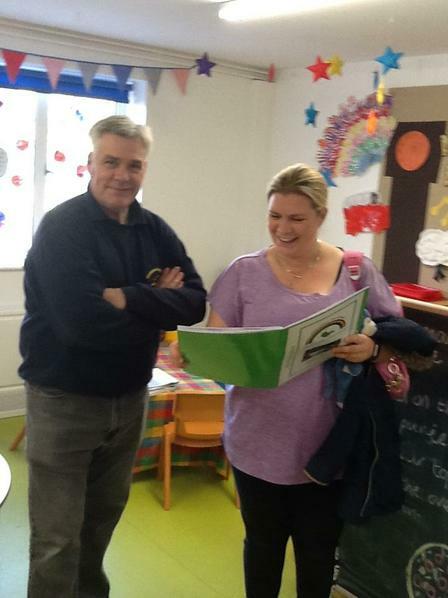 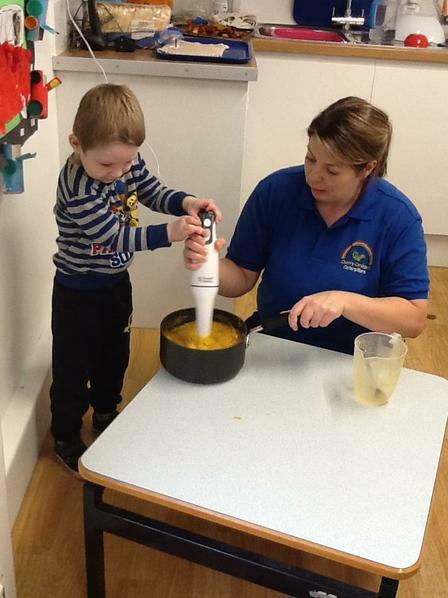 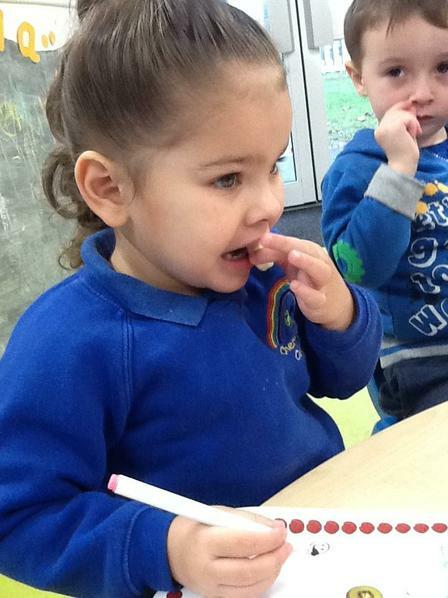 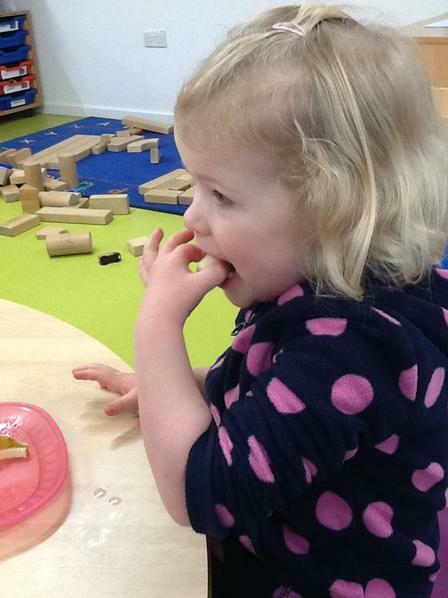 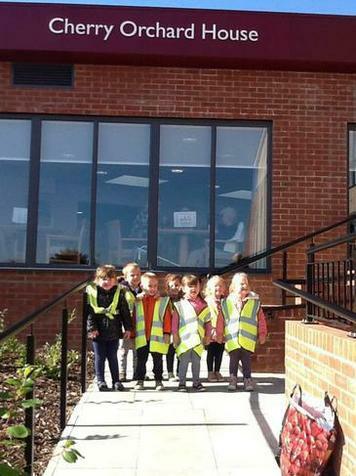 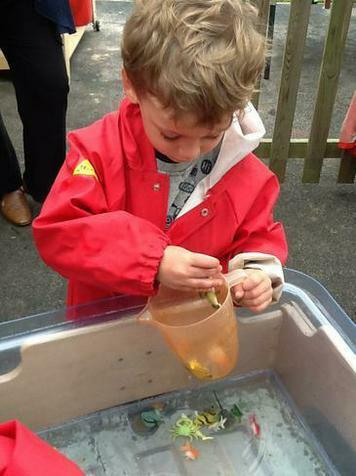 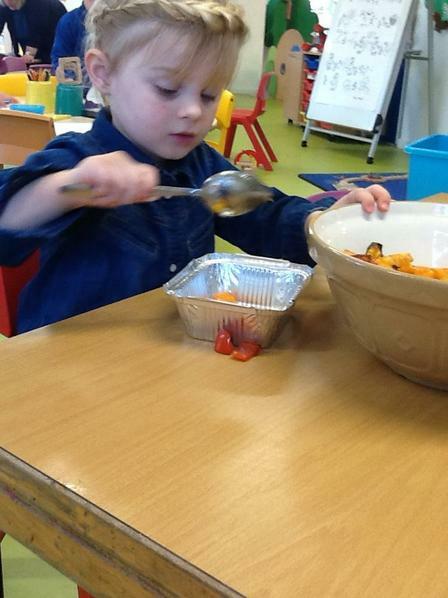 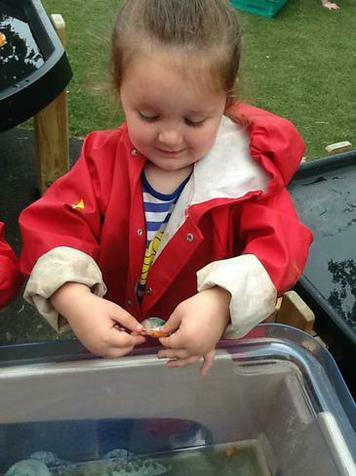 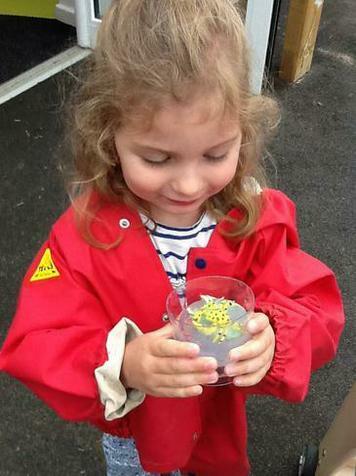 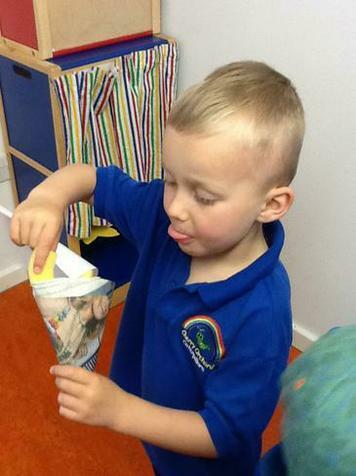 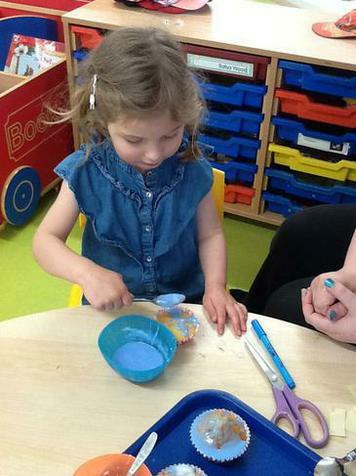 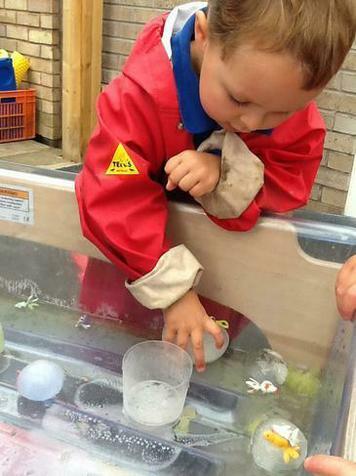 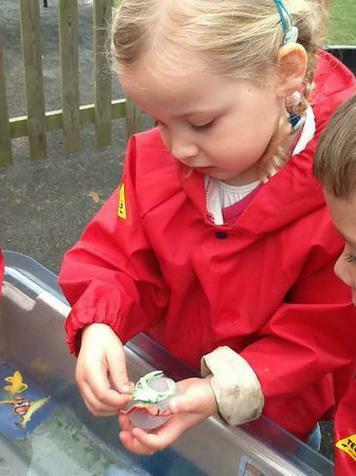 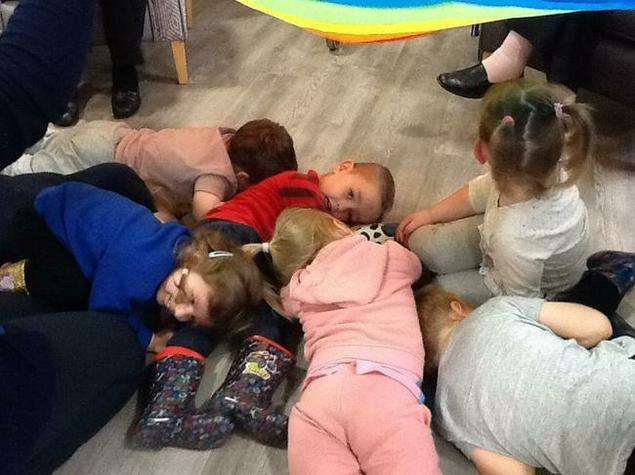 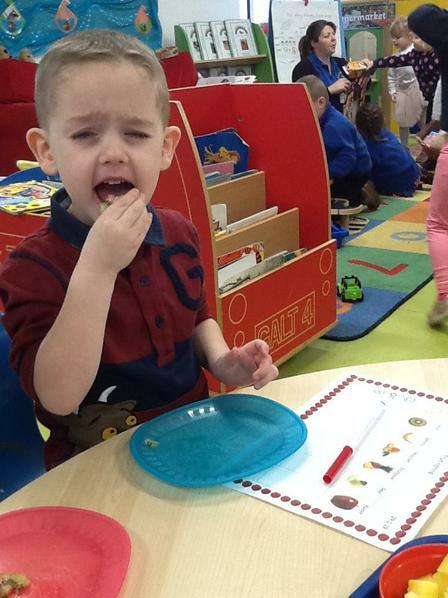 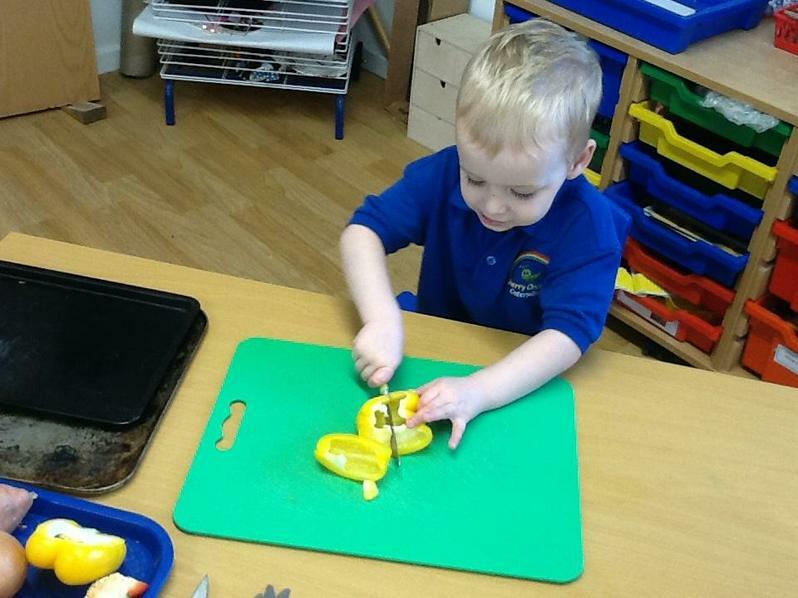 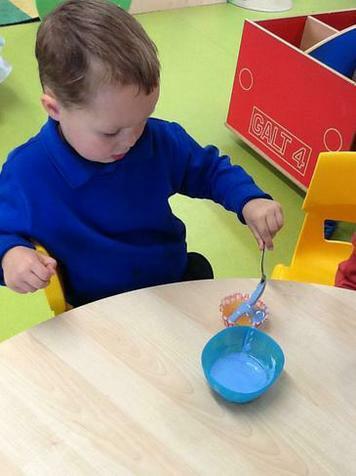 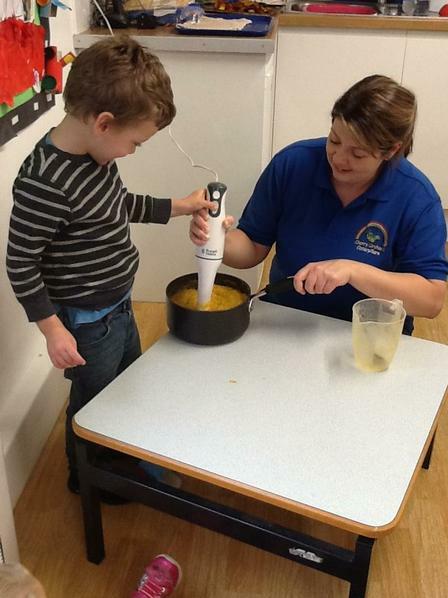 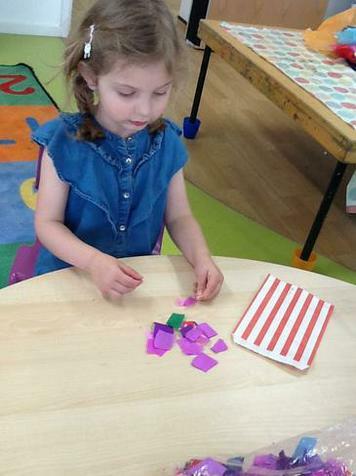 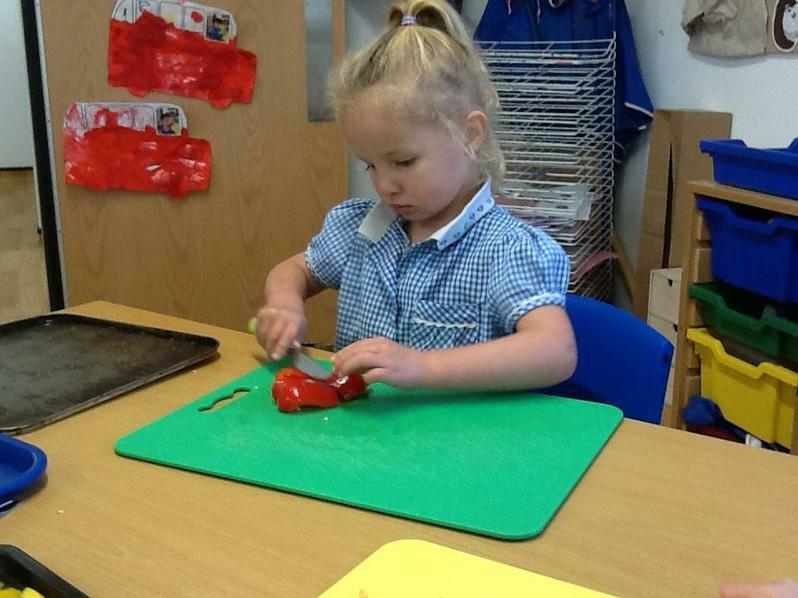 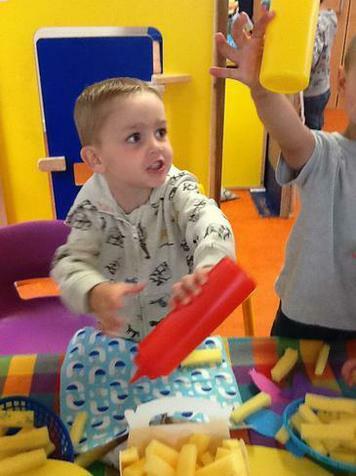 Dinosaurs- we have moved onto looking at dinosaurs and having lots of fun exploring different activities. 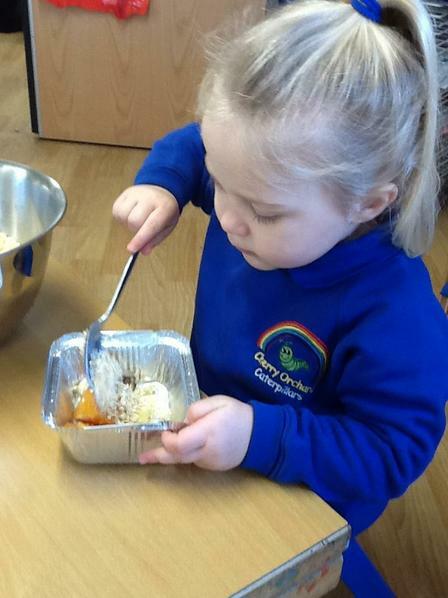 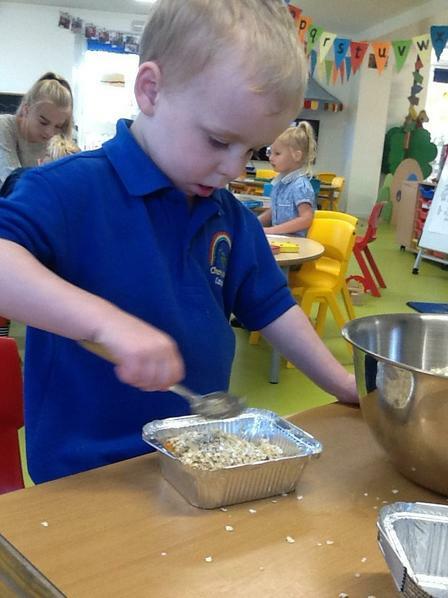 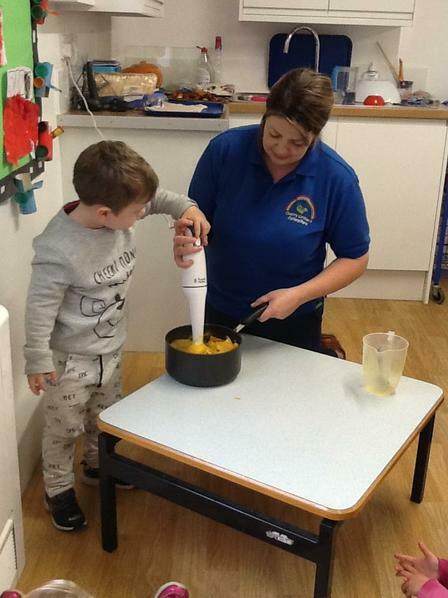 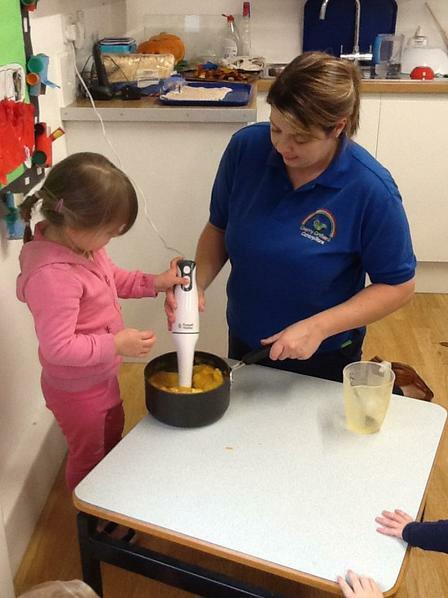 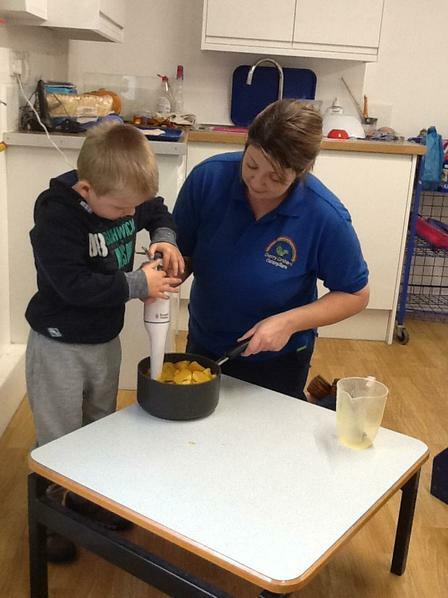 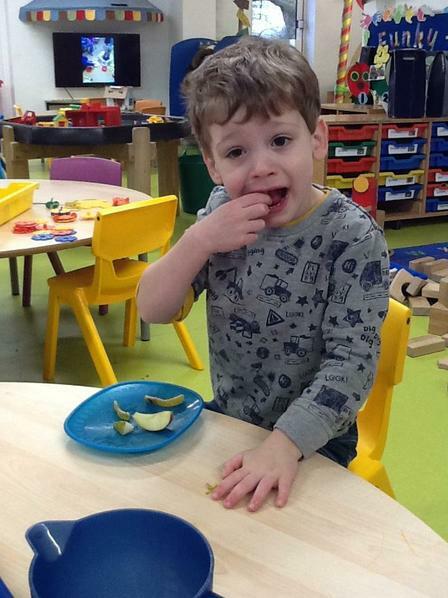 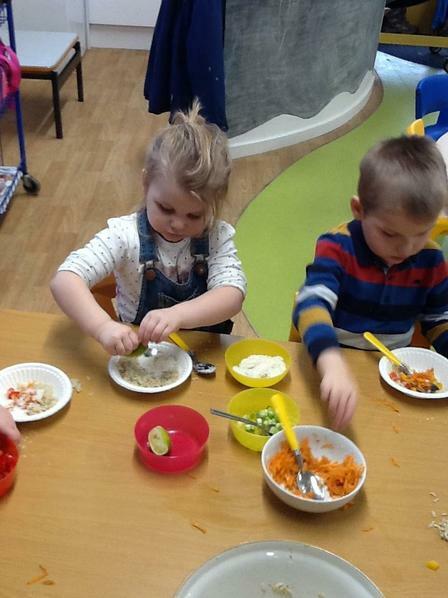 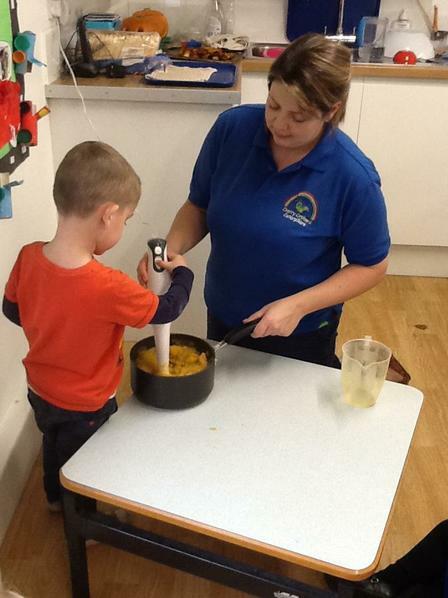 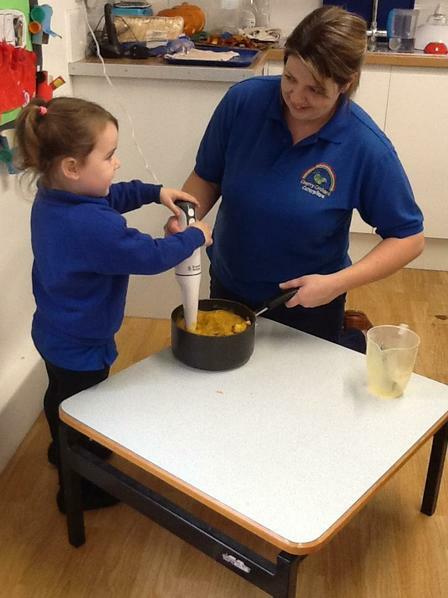 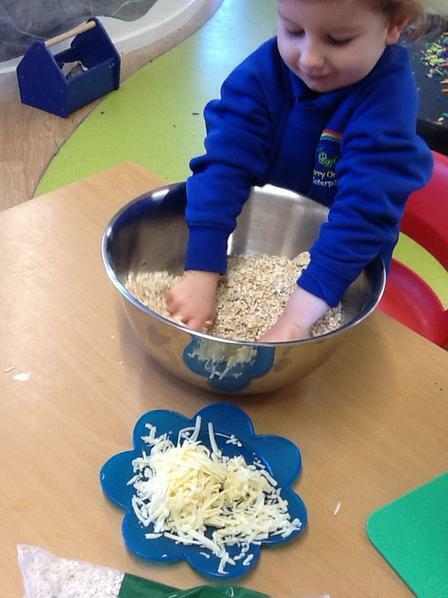 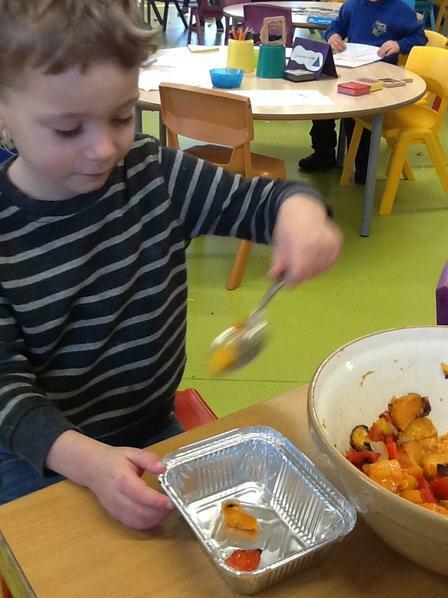 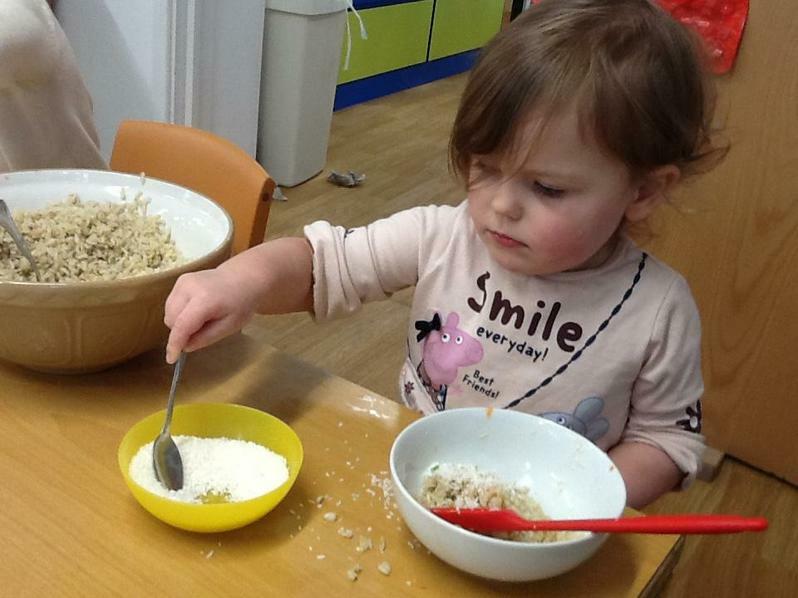 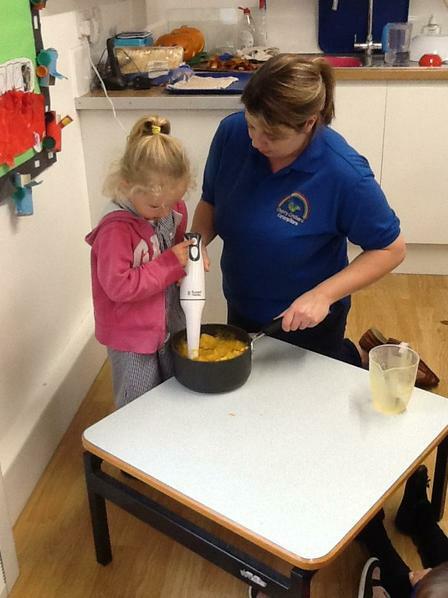 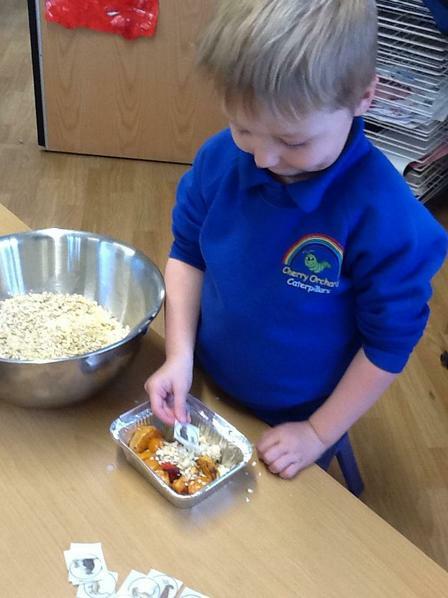 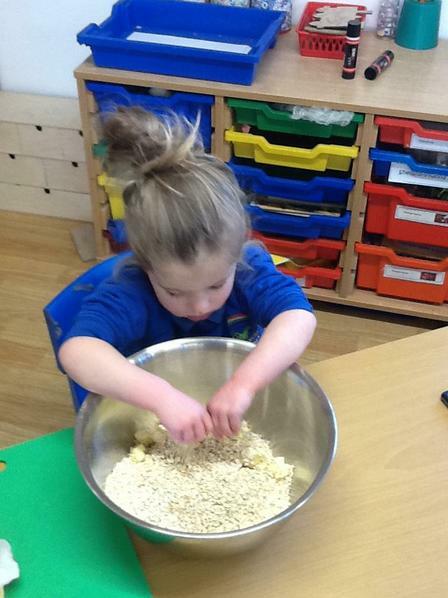 Gruffalo Crumble - As part of our topic the children have this week made their own Gruffalo crumble. 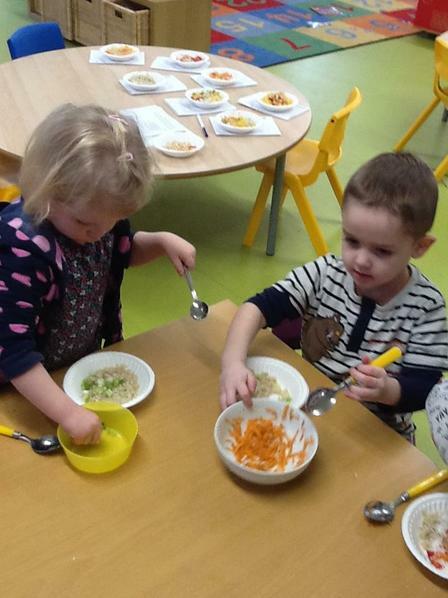 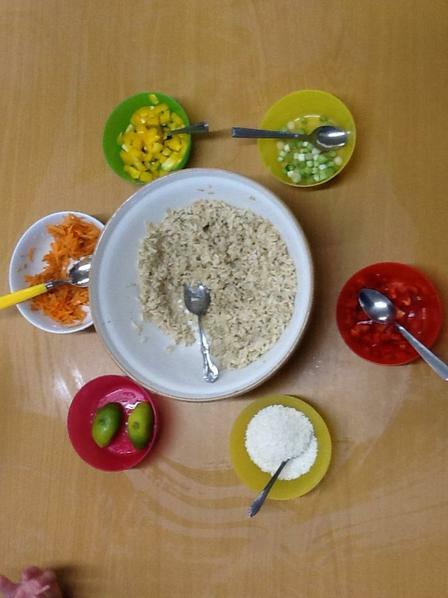 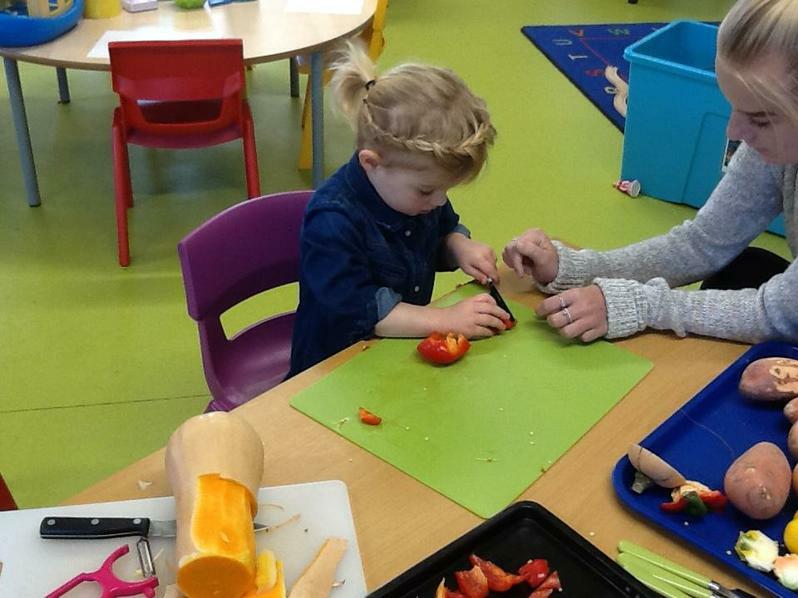 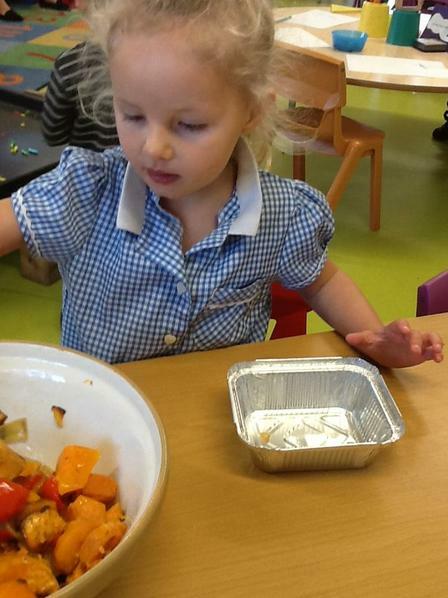 They did a great job of cutting all the vegetables ready for roasting and then making a cheesy crumble for the top. 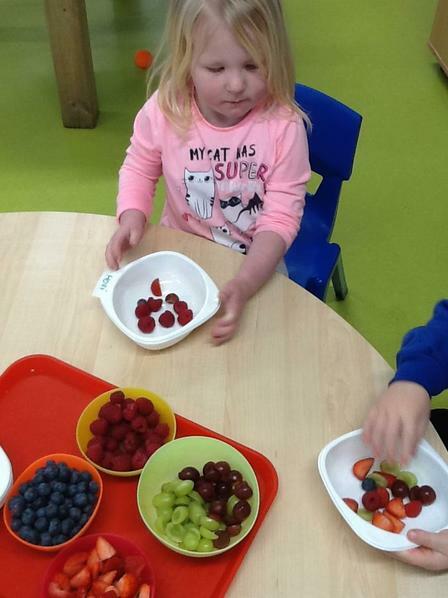 We have been looking at the story of The Very Hungry Caterpillar, we have tasted the different fruits from the story then recorded which ones we did and did not like using smiley and sad faces. 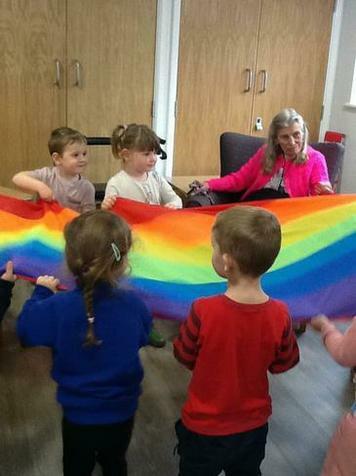 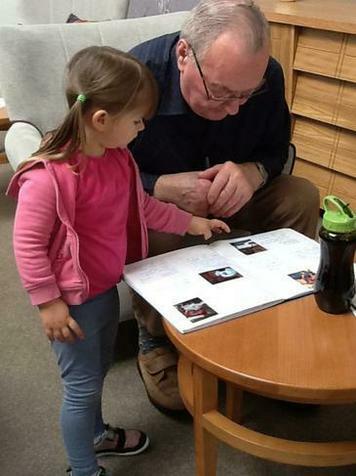 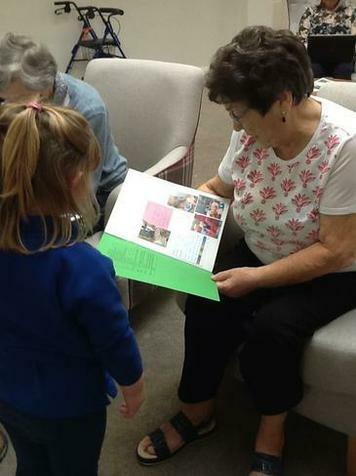 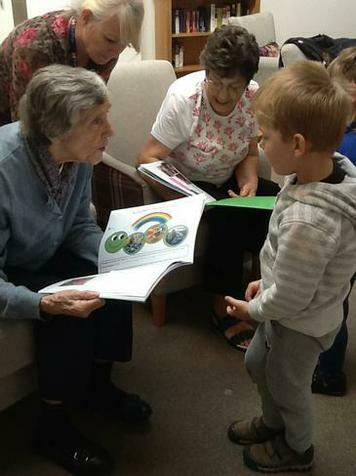 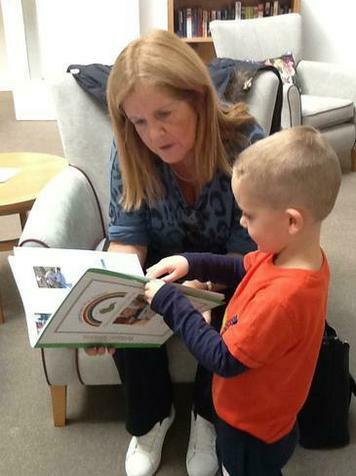 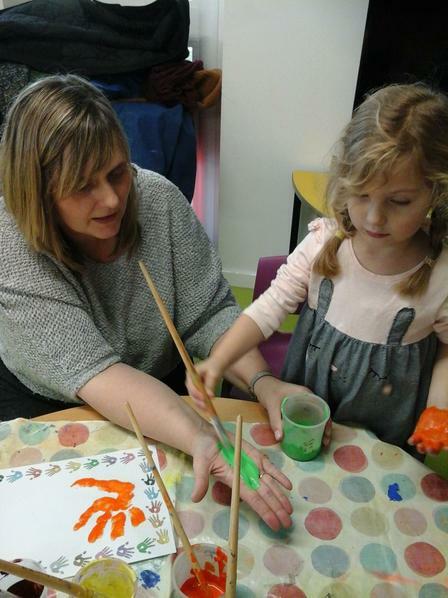 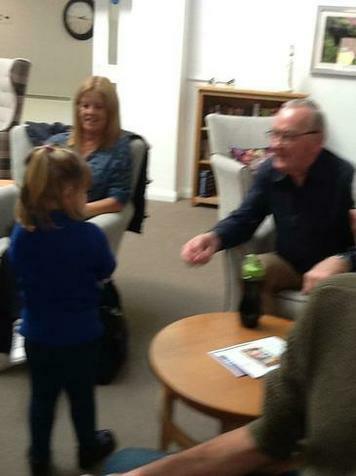 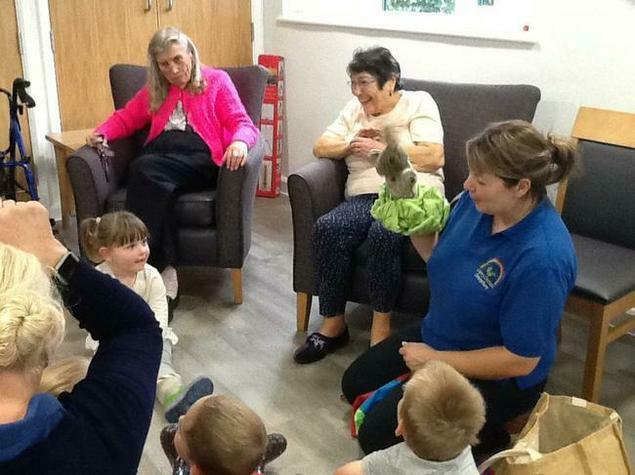 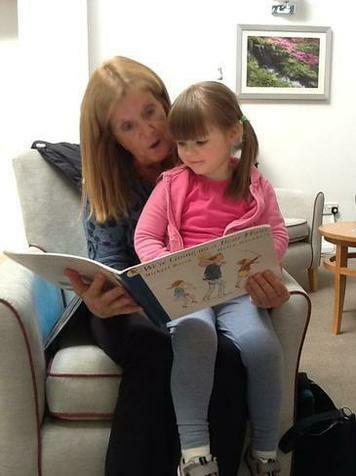 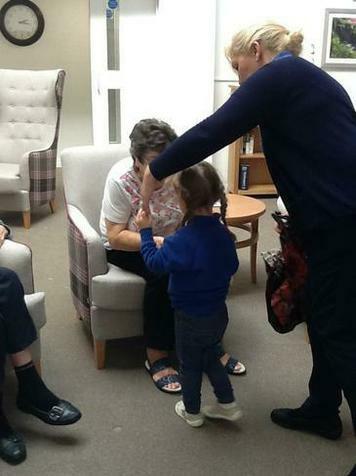 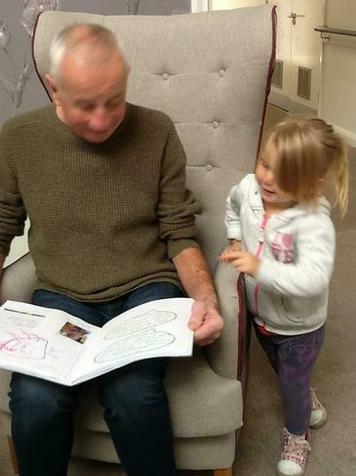 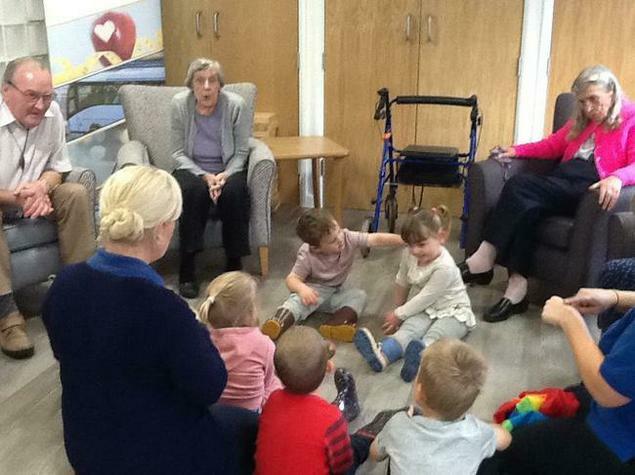 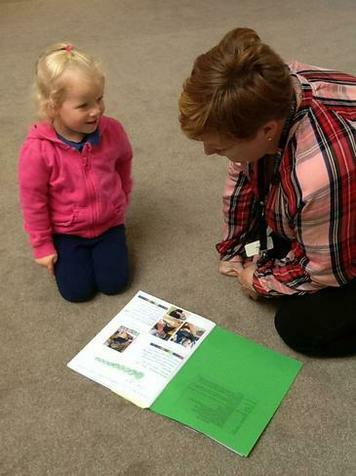 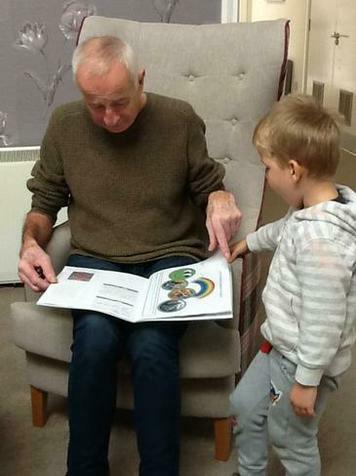 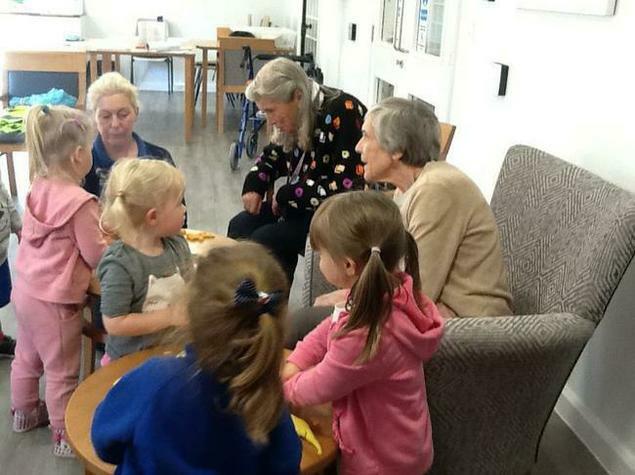 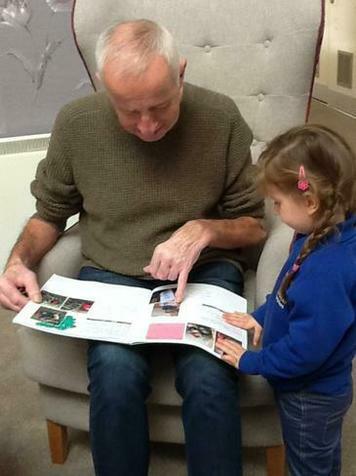 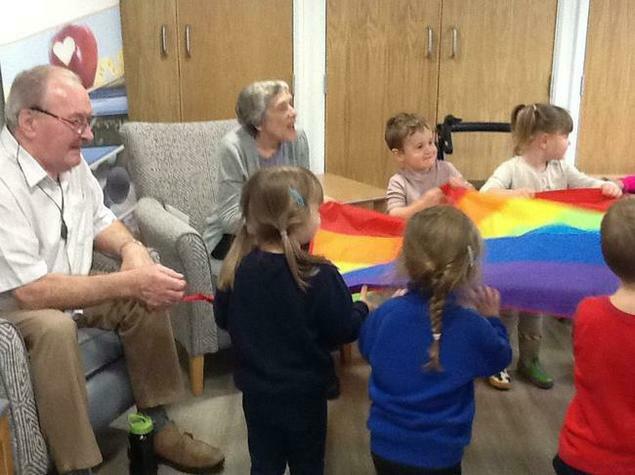 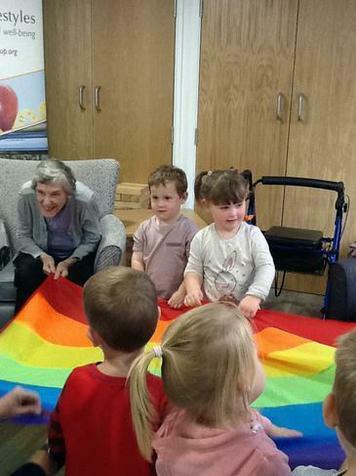 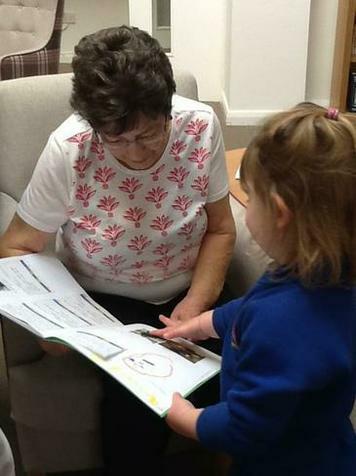 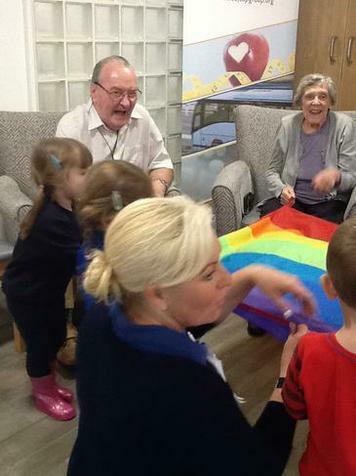 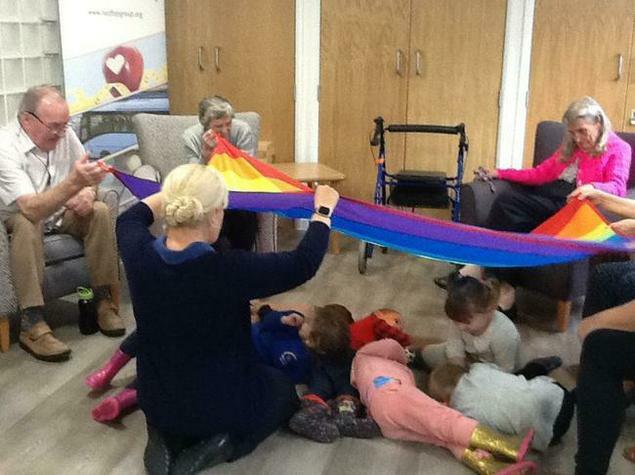 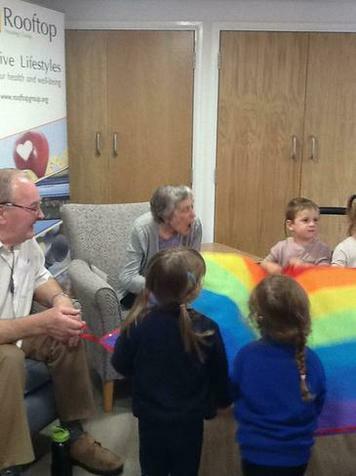 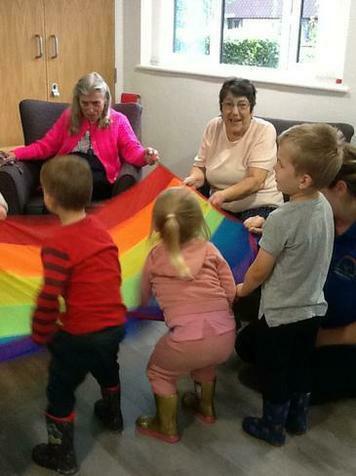 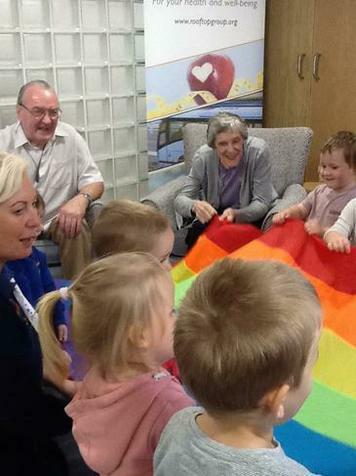 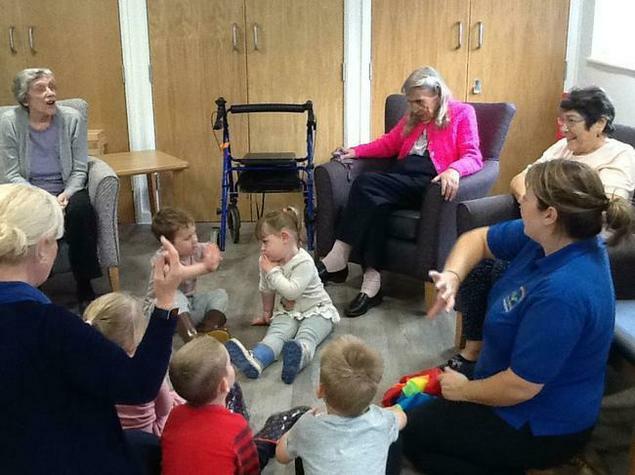 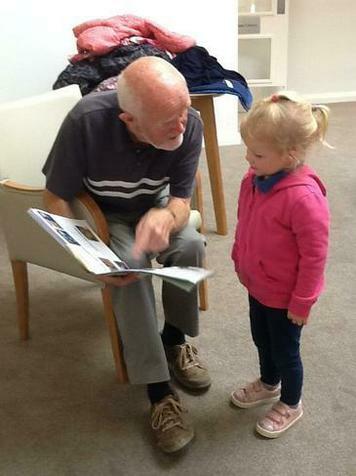 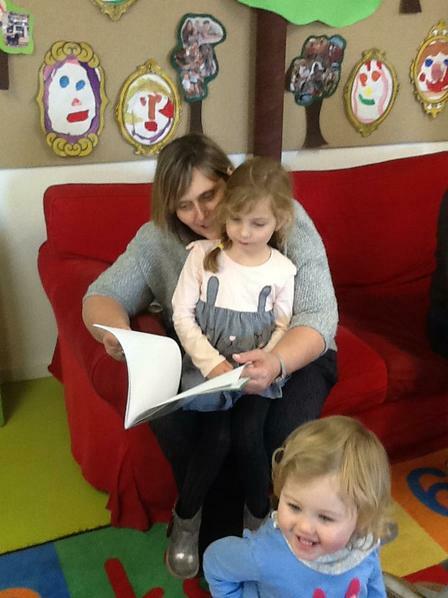 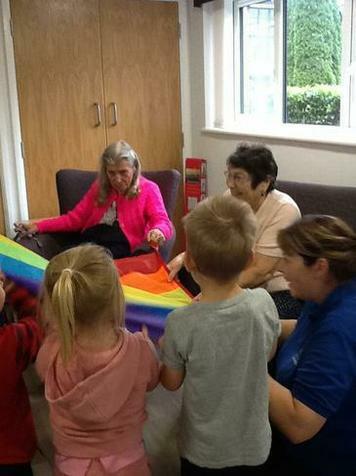 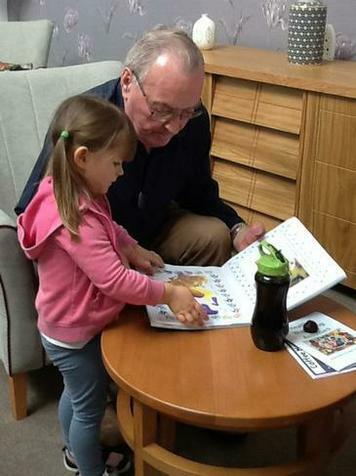 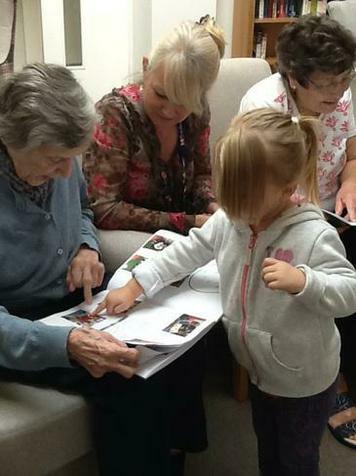 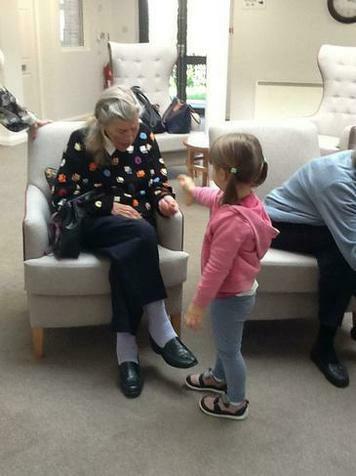 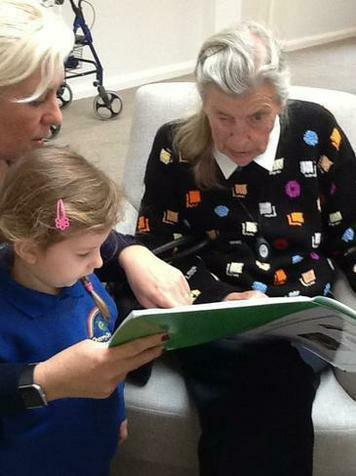 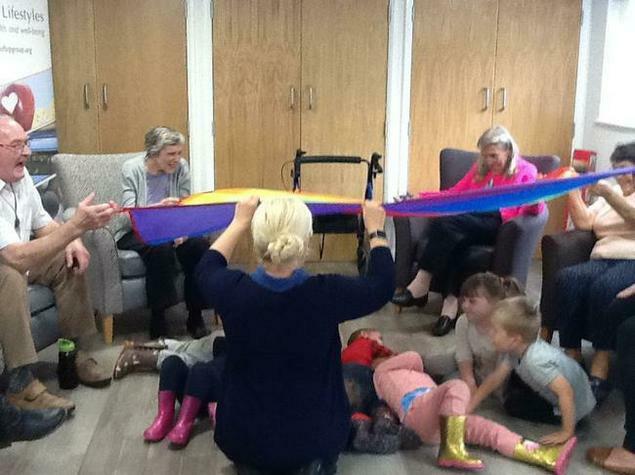 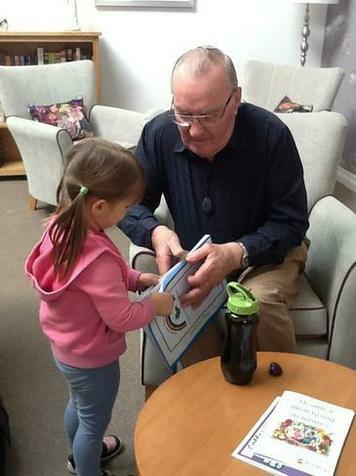 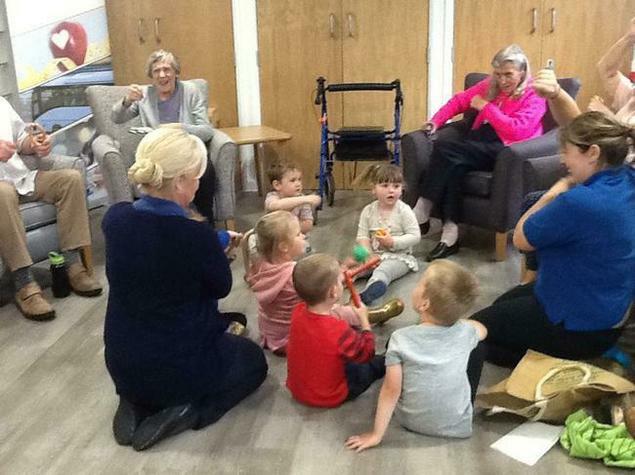 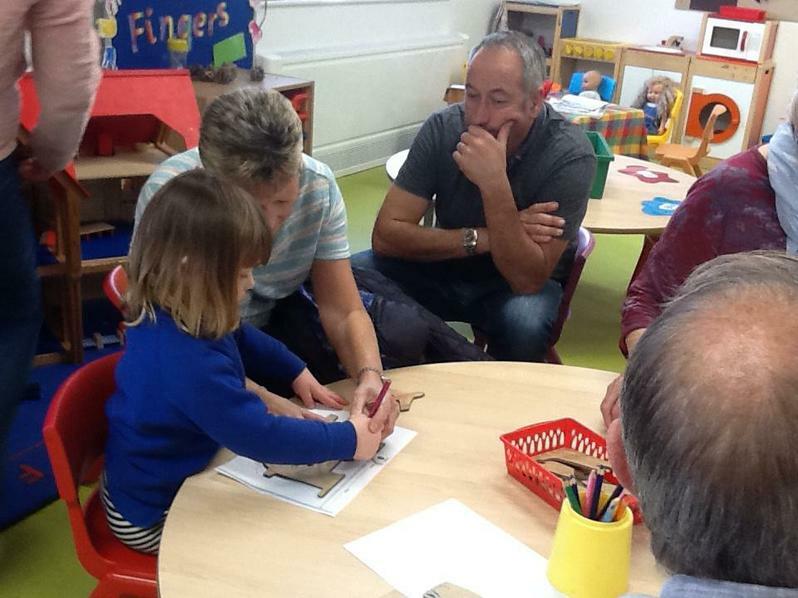 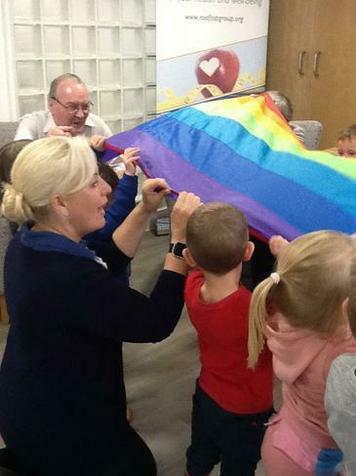 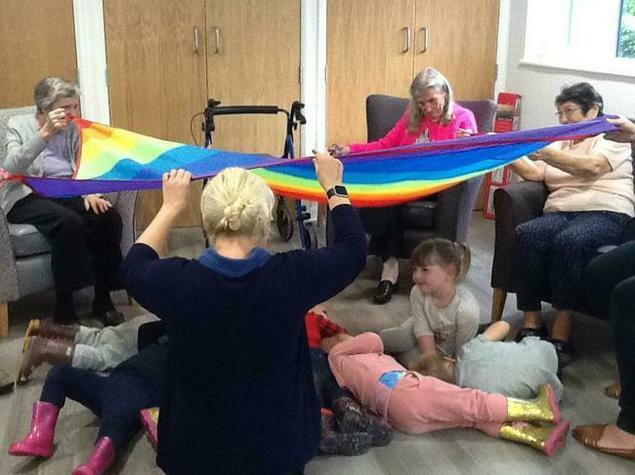 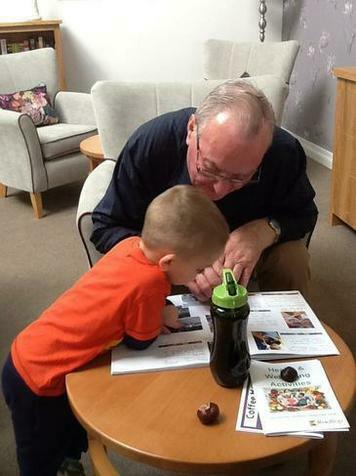 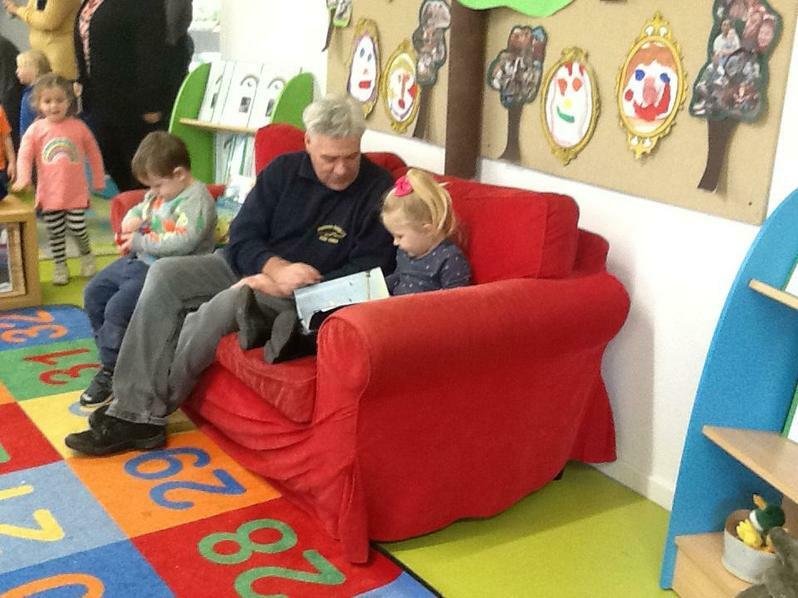 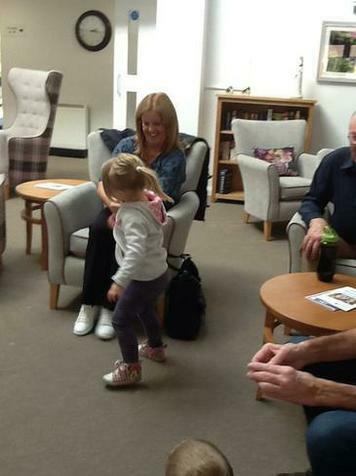 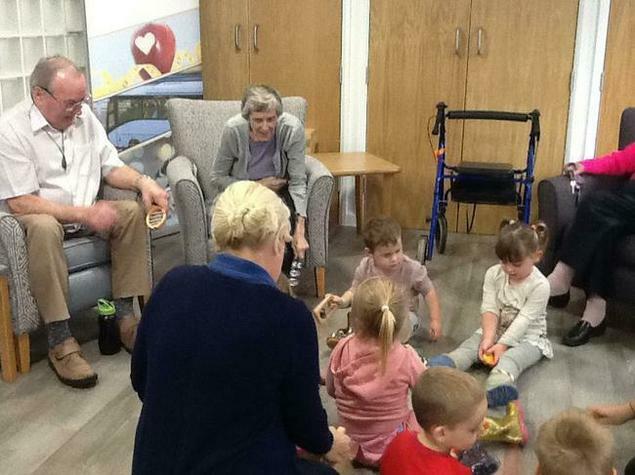 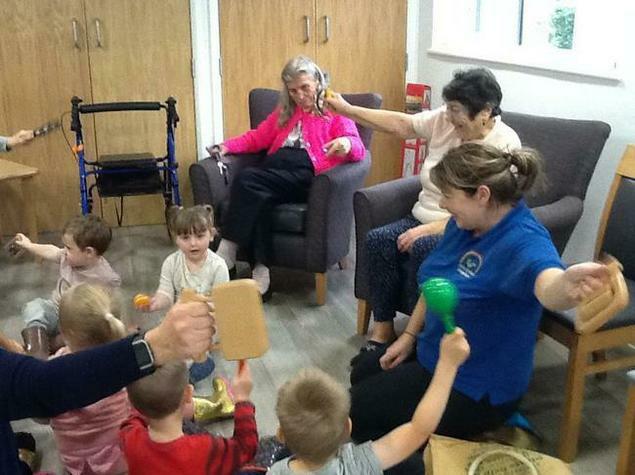 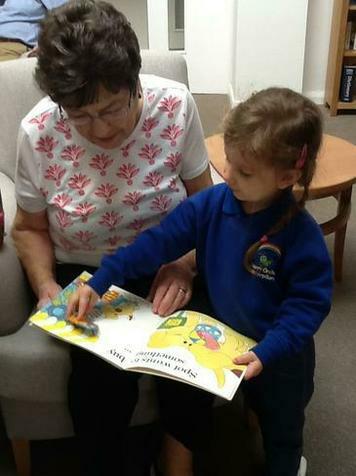 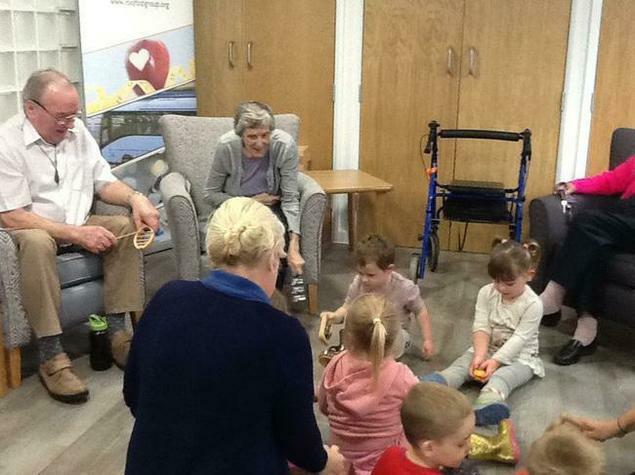 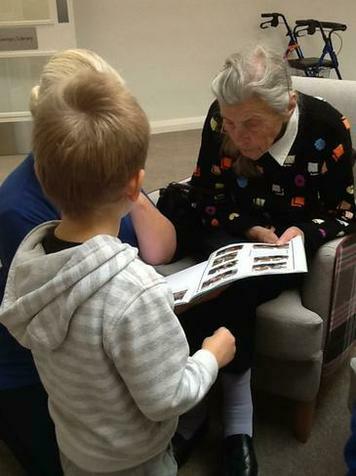 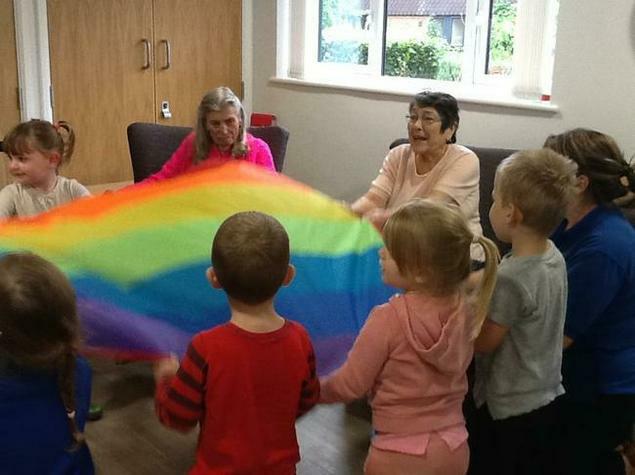 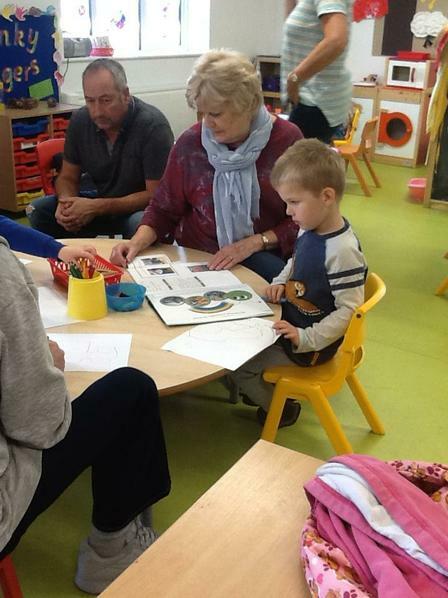 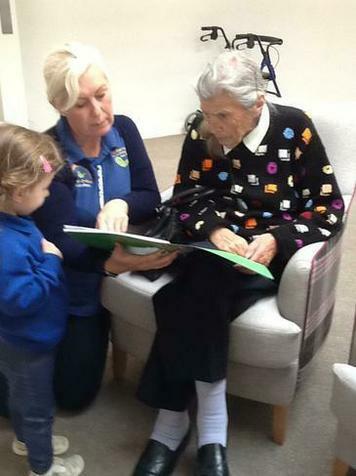 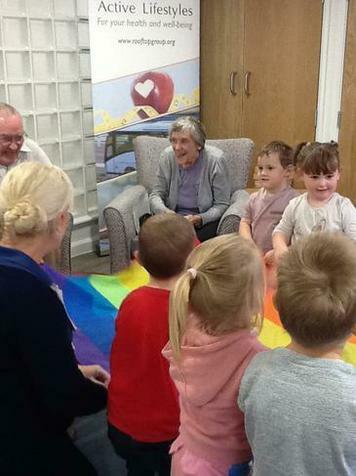 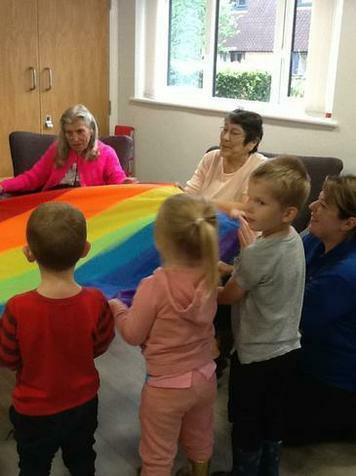 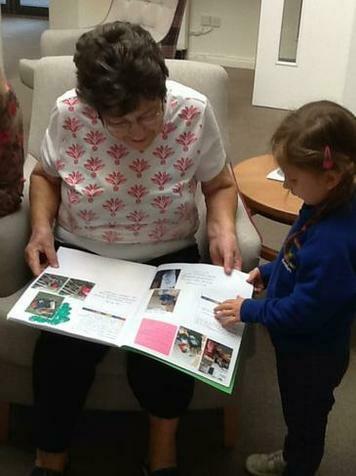 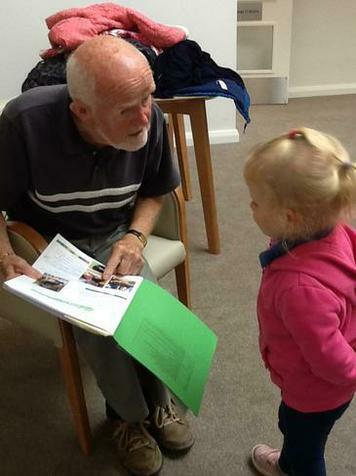 Grandparents afternoon - This afternoon we welcomed our grandparents in to look through the children's learning journeys, play and share a cake before singing some songs. 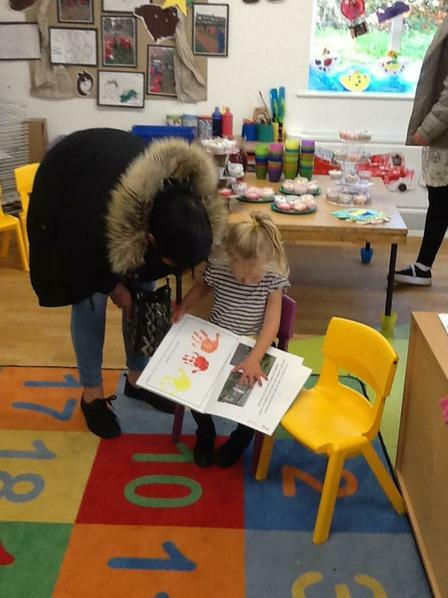 4.10.2018 Today on our visit to see our new friends we took our learning journeys to show and some of our favourite stories. 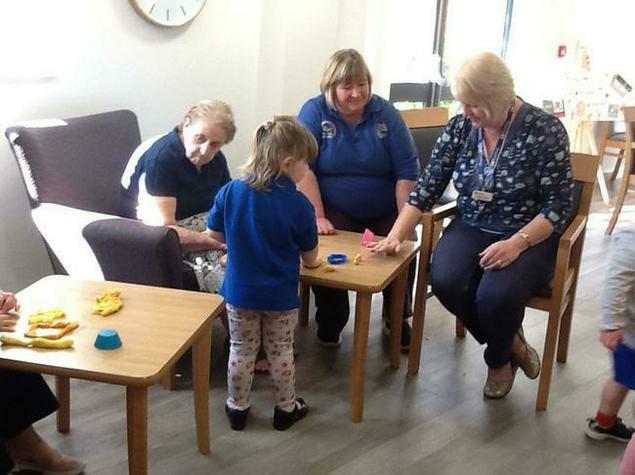 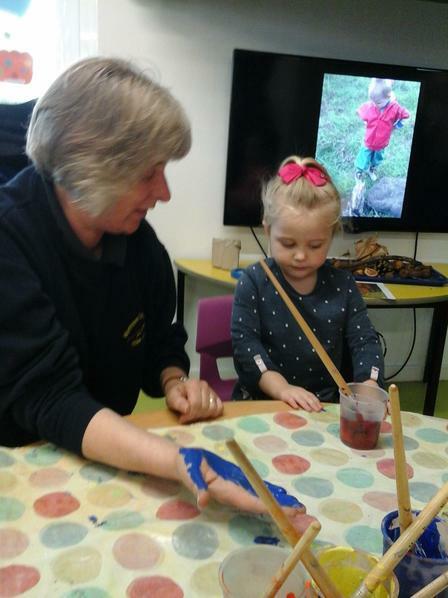 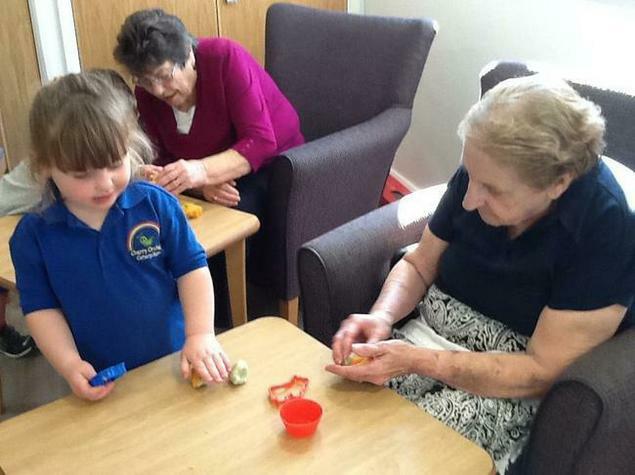 27.9.2018 This afternoon we took multi-coloured/scented playdough with us to Cherry Orchard House. 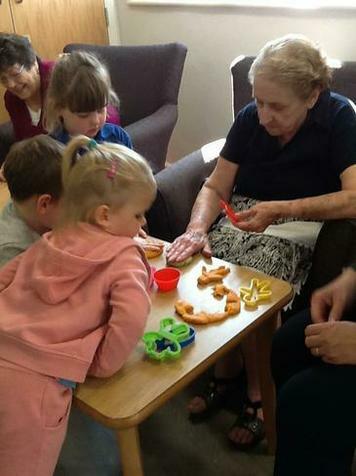 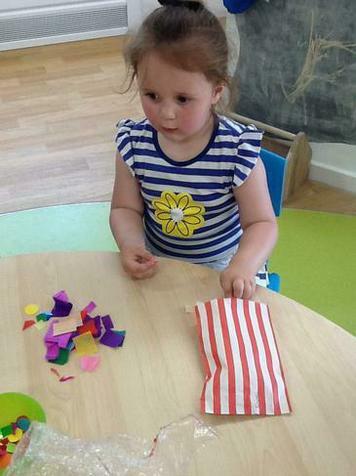 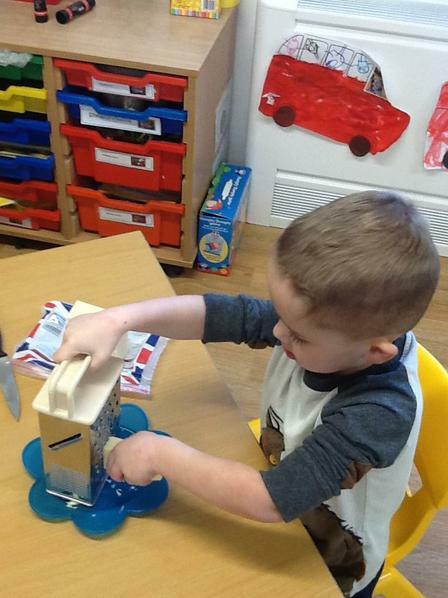 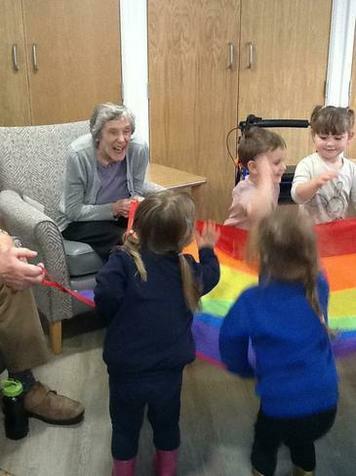 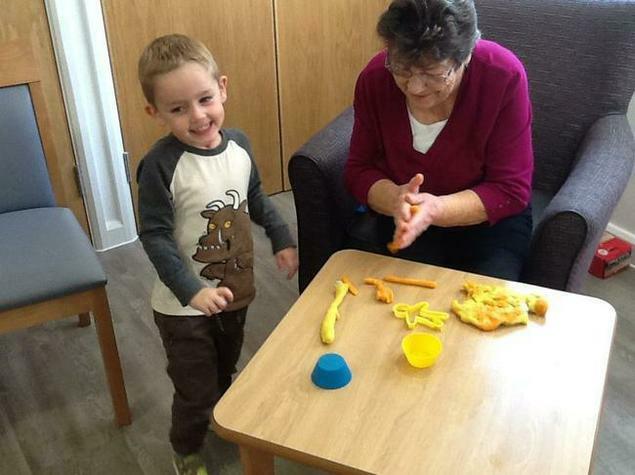 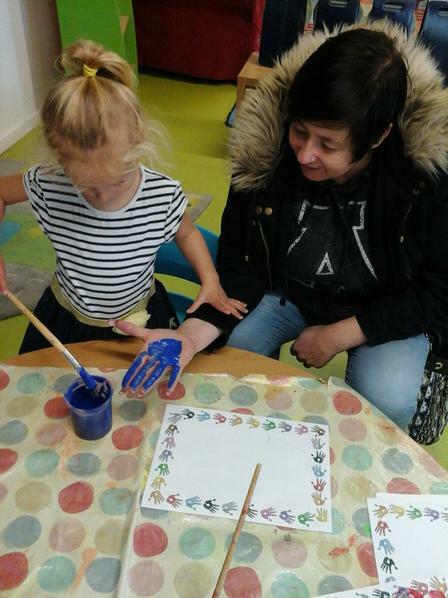 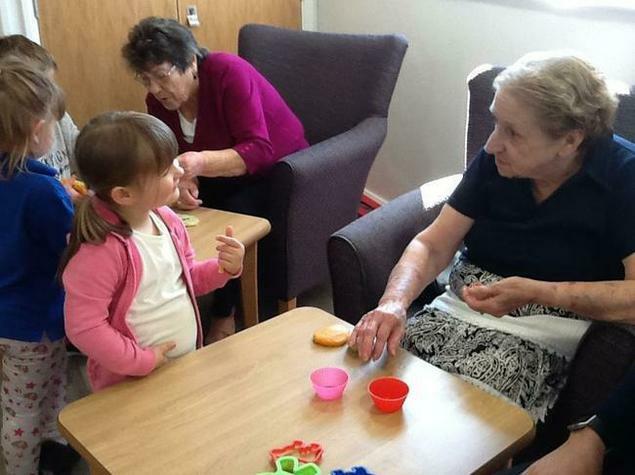 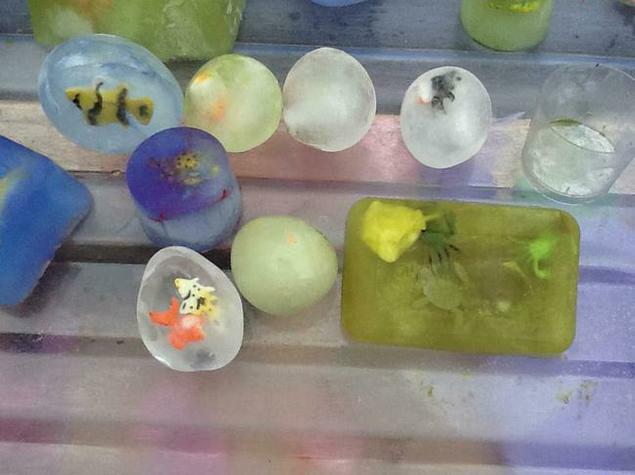 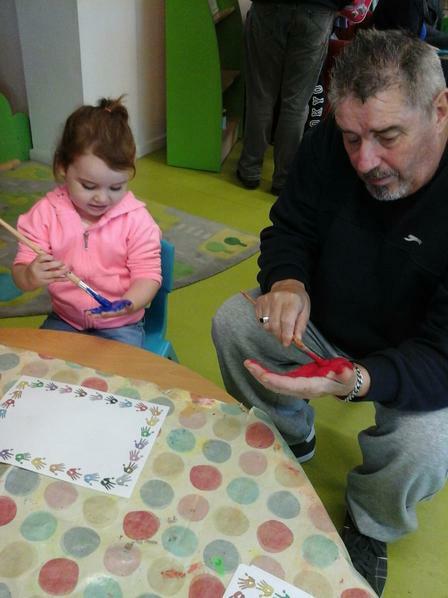 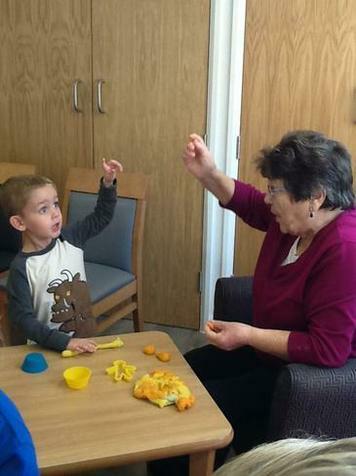 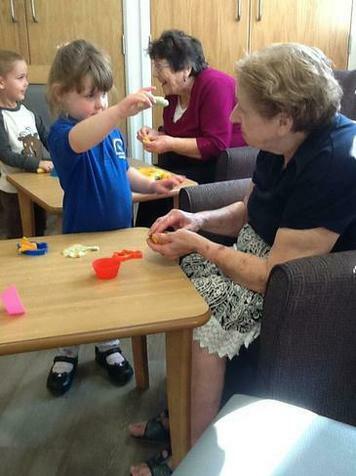 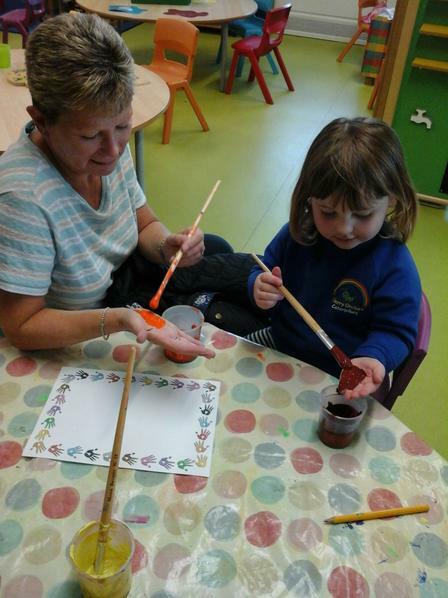 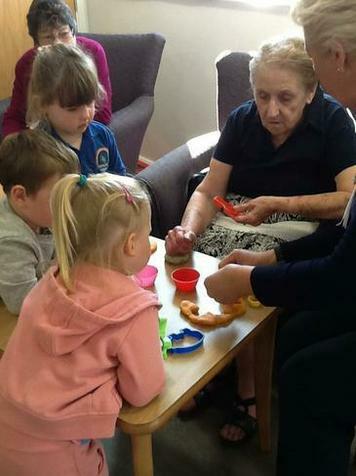 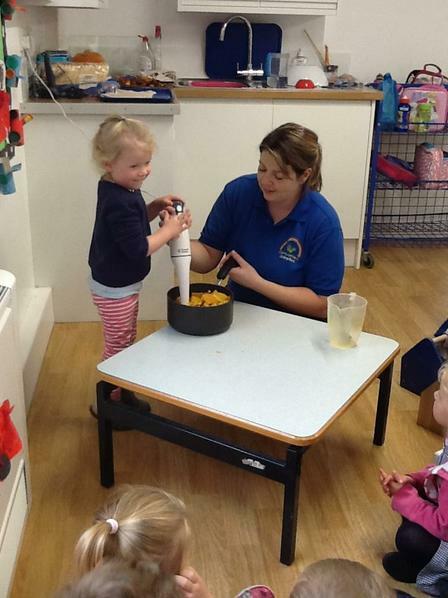 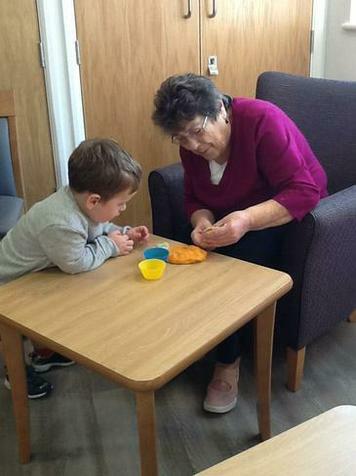 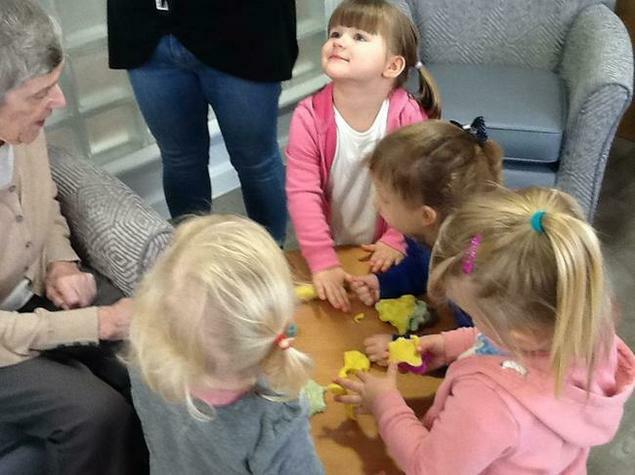 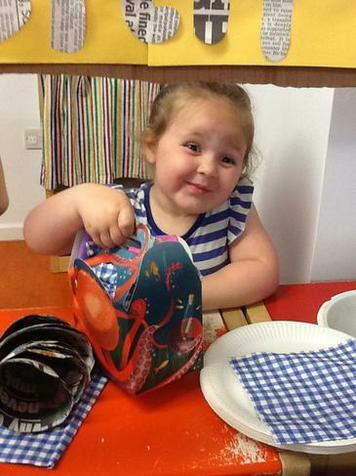 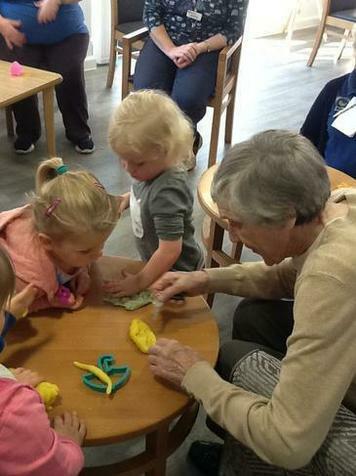 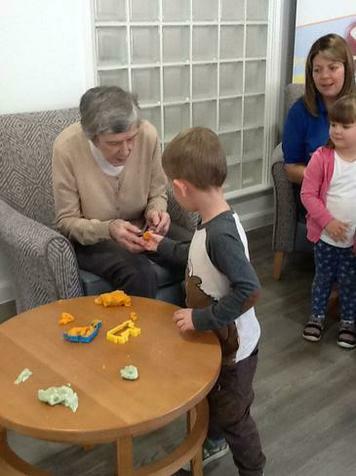 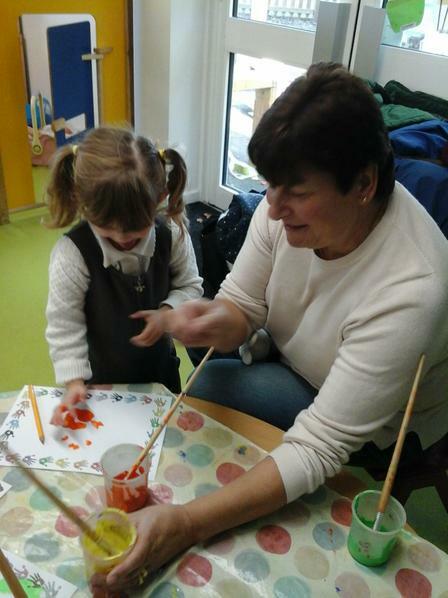 The children showed the residents how to make wiggly worms, watches and use the play dough cutters. 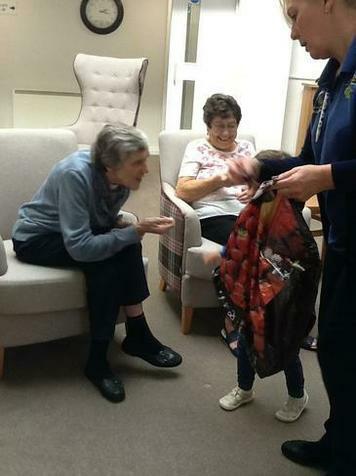 20.9.2018 This afternoon we went to visit residents at Cherry Orchard House. 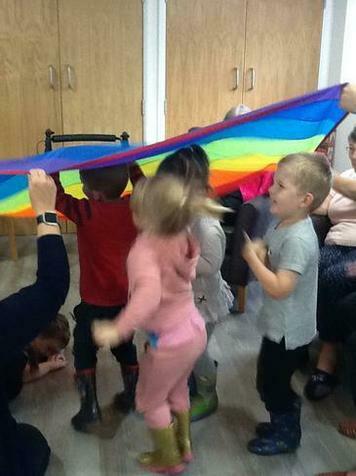 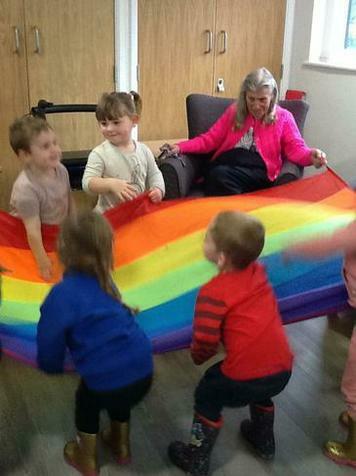 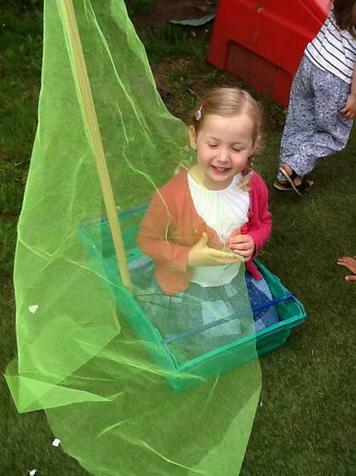 We sang a few of our favourite songs and played with the musical instruments and parachute. 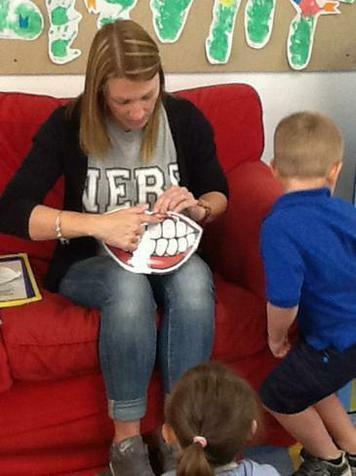 W/C: 21.5.18 This week we had a visit from the dentist Carly. 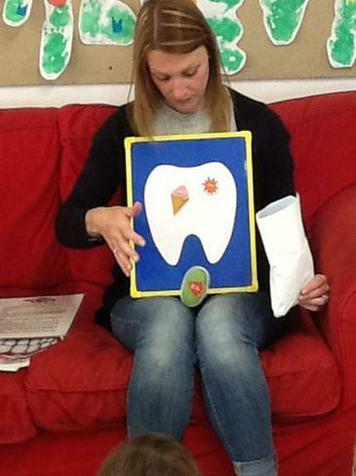 We looked at foods that were good for our teeth and foods that we should only have as a treat. 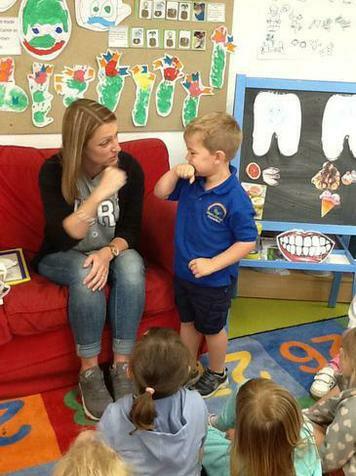 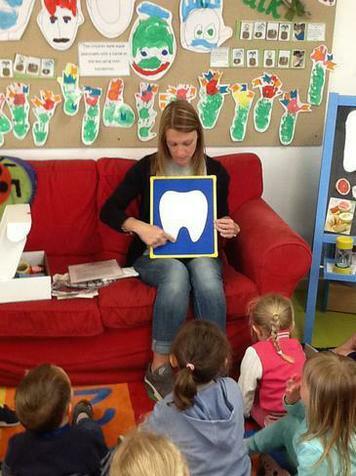 We all practiced brushing our teeth, going round in small circles for two minutes...and she reminded us that is very important to brush our teeth in the morning and at night. 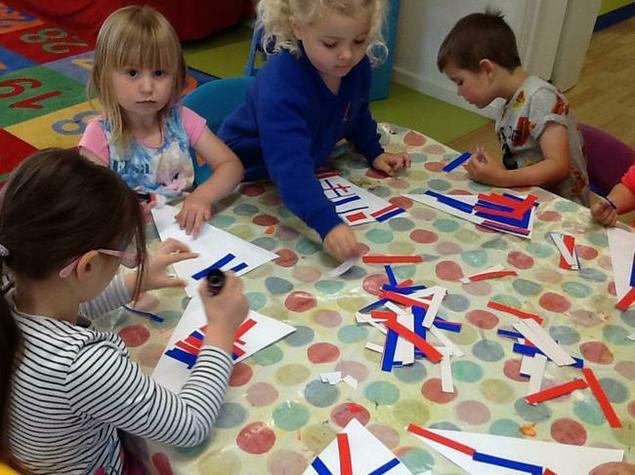 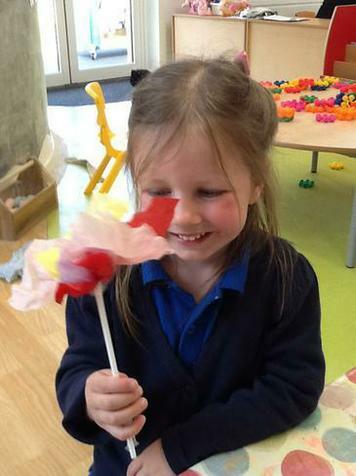 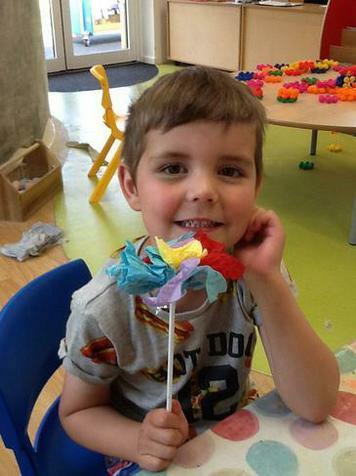 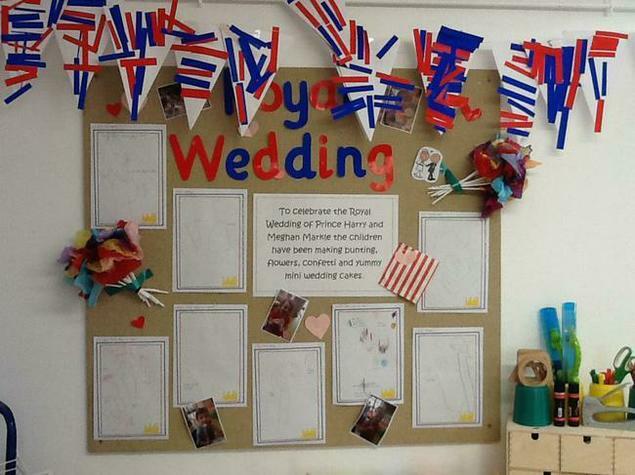 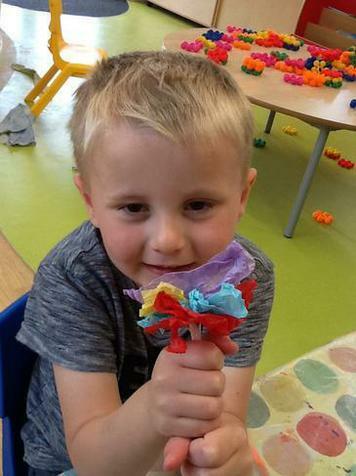 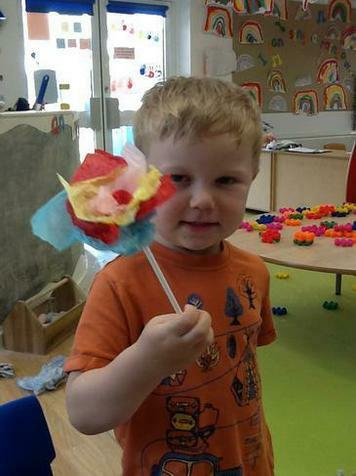 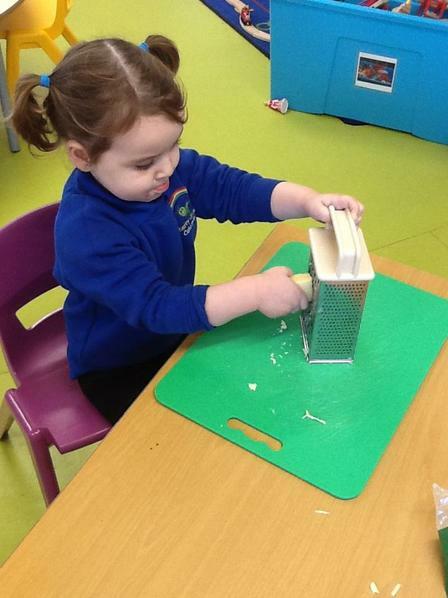 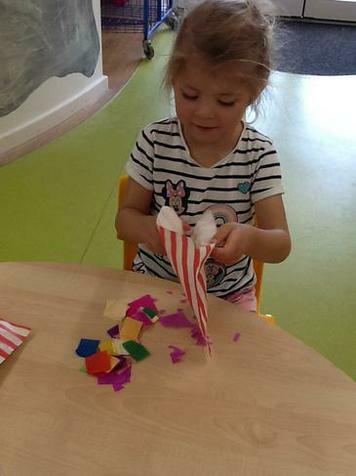 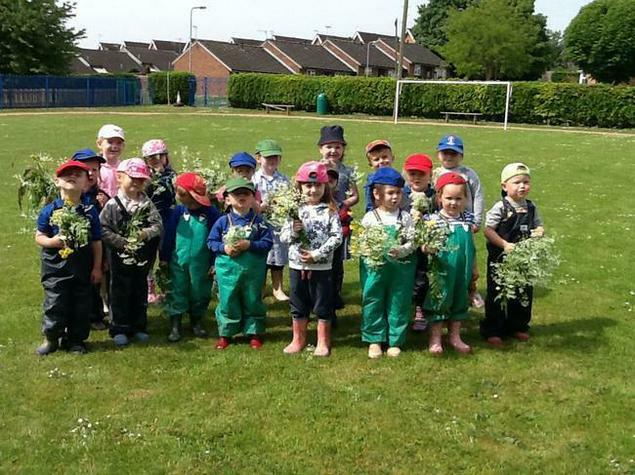 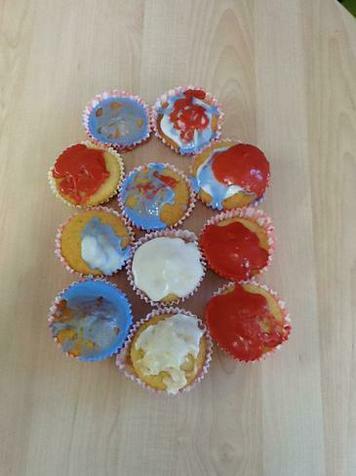 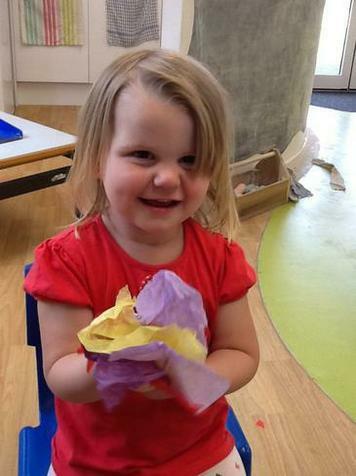 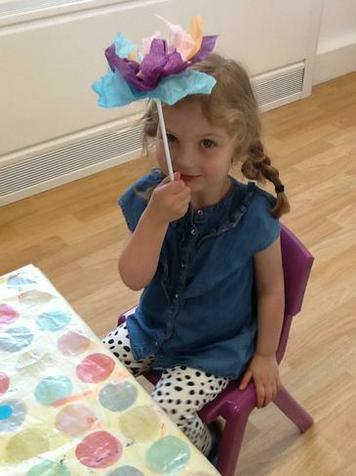 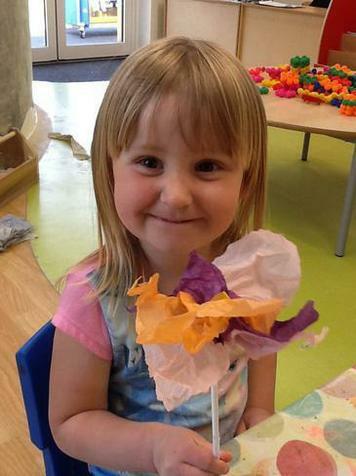 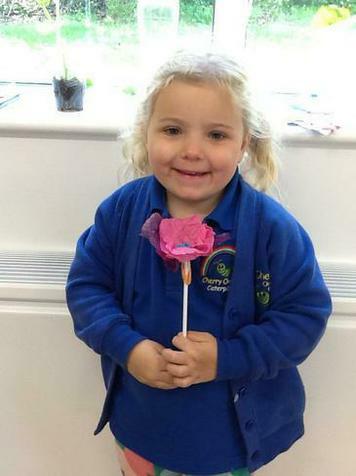 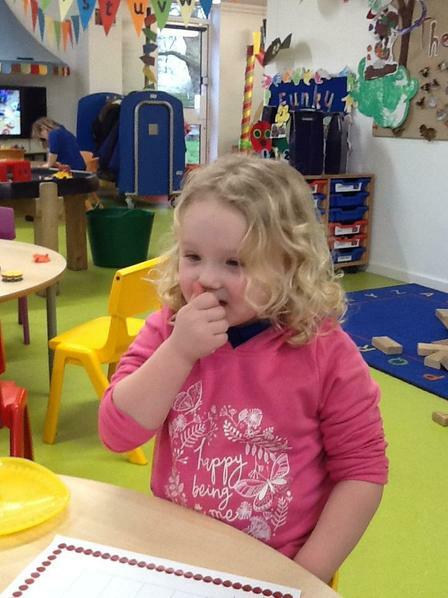 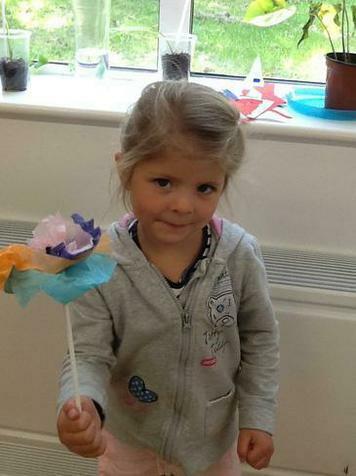 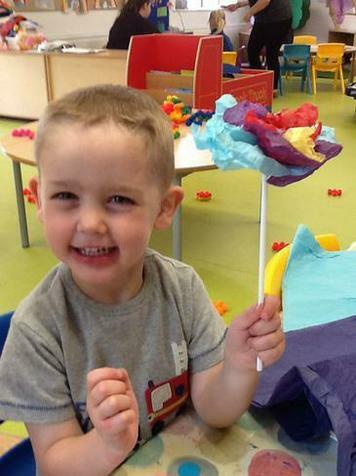 wc 14.5.18 This week we have been celebrating the Royal wedding of Prince Harry by making bunting, confetti, tissue flowers and bouquets at Forest schoo and making mini wedding cakes. 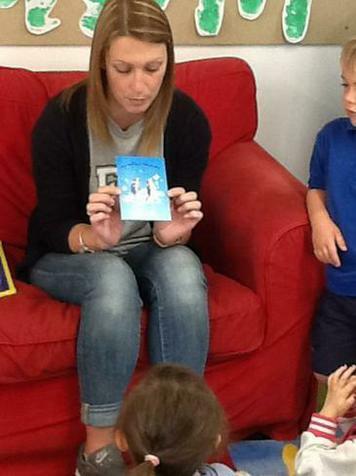 10.5.18 This week we were fortunate enough to have samples of the moon at Pre-School. 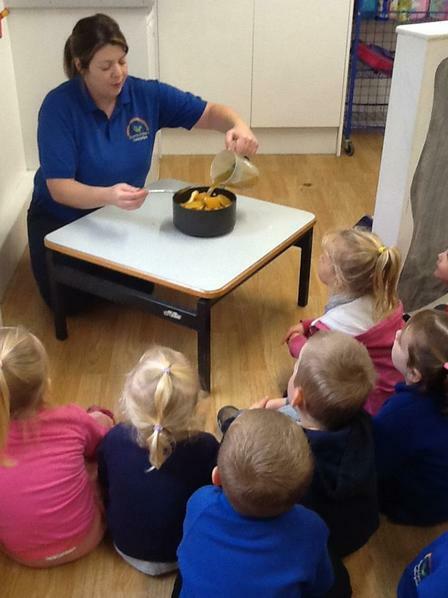 We talked about earth, zooming off in a rocket to space and then we practised moon walking. 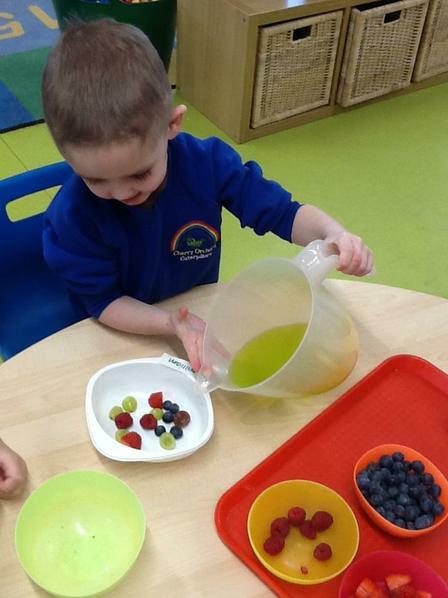 30.4.18 This week we have counting magic beans and matching them to the right number on our beanstalk. 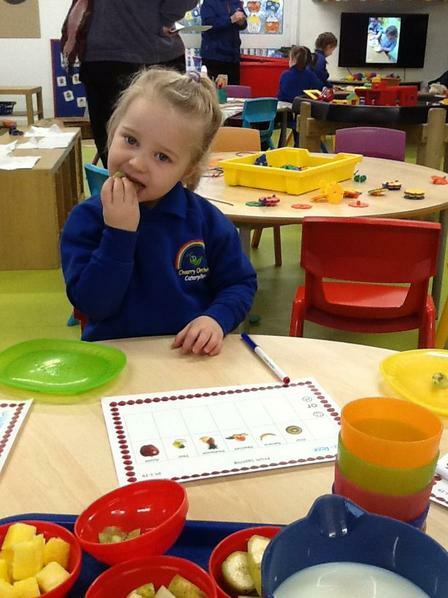 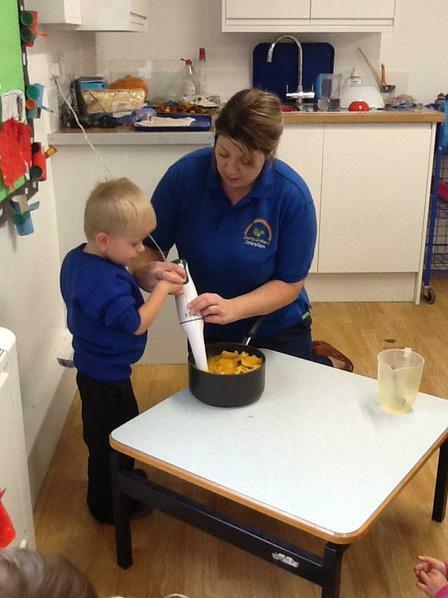 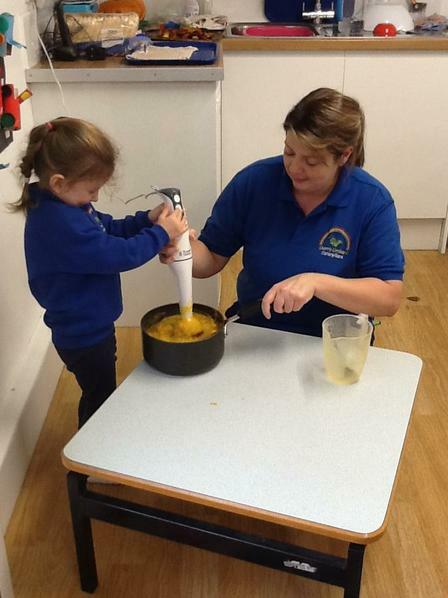 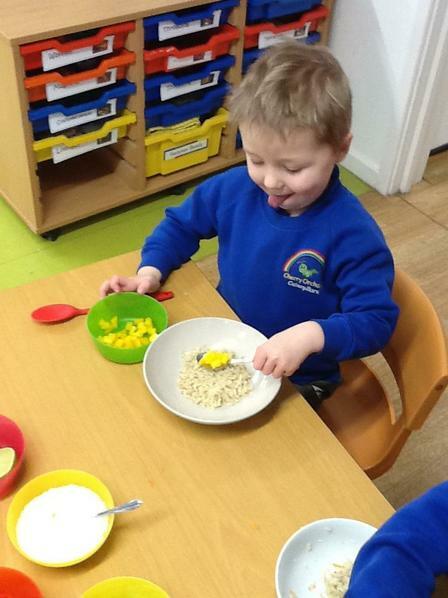 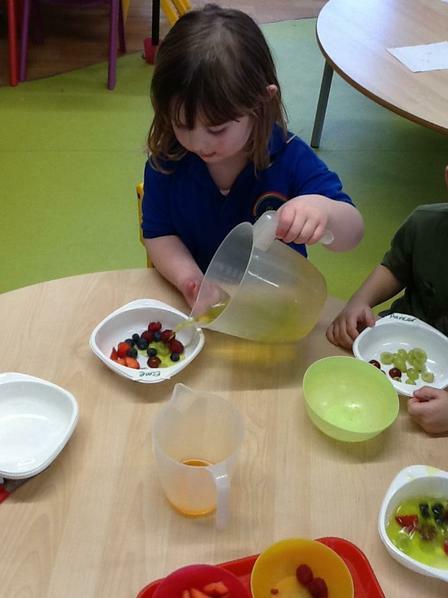 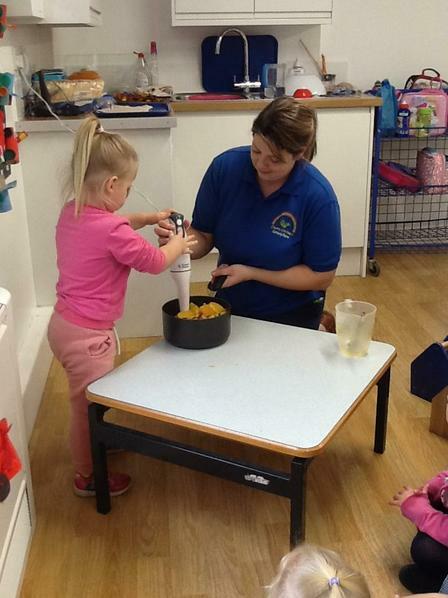 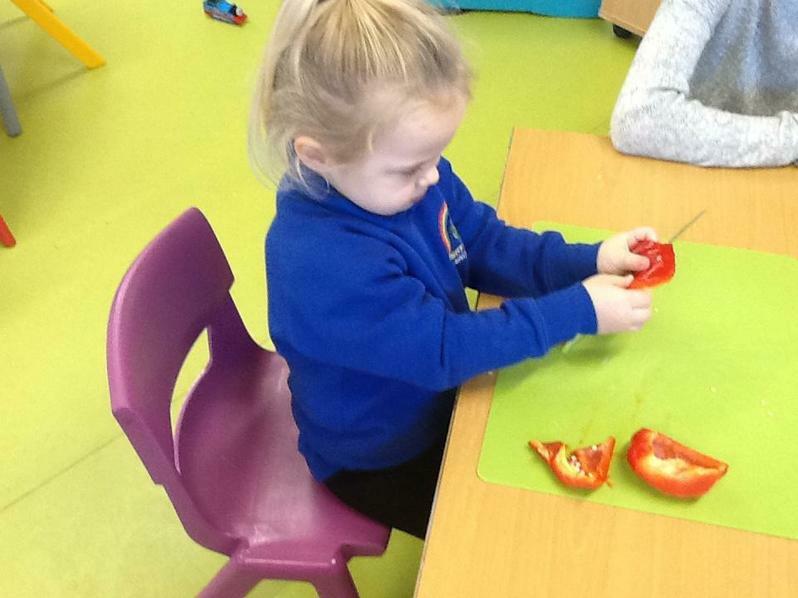 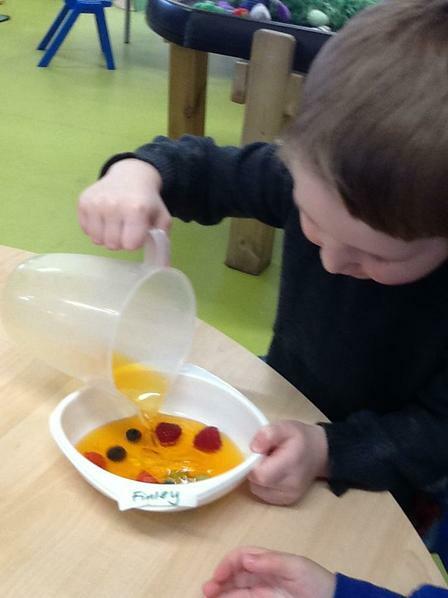 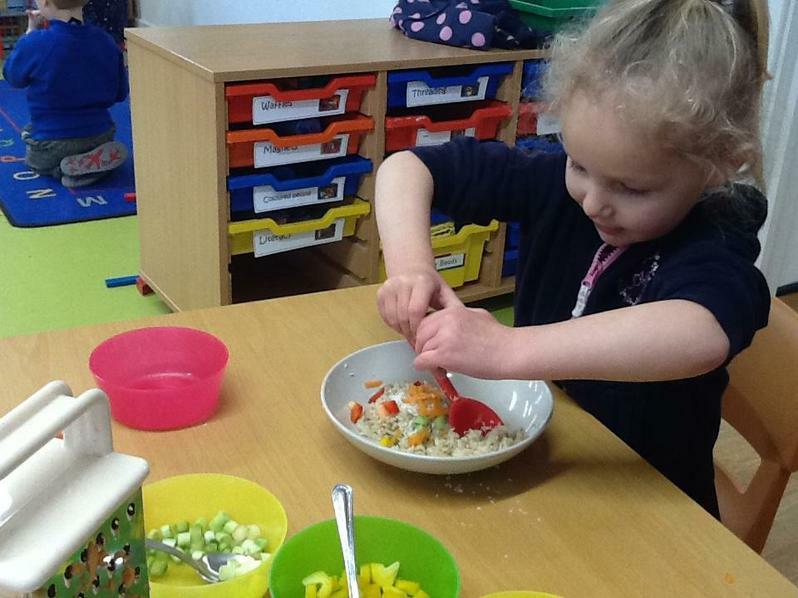 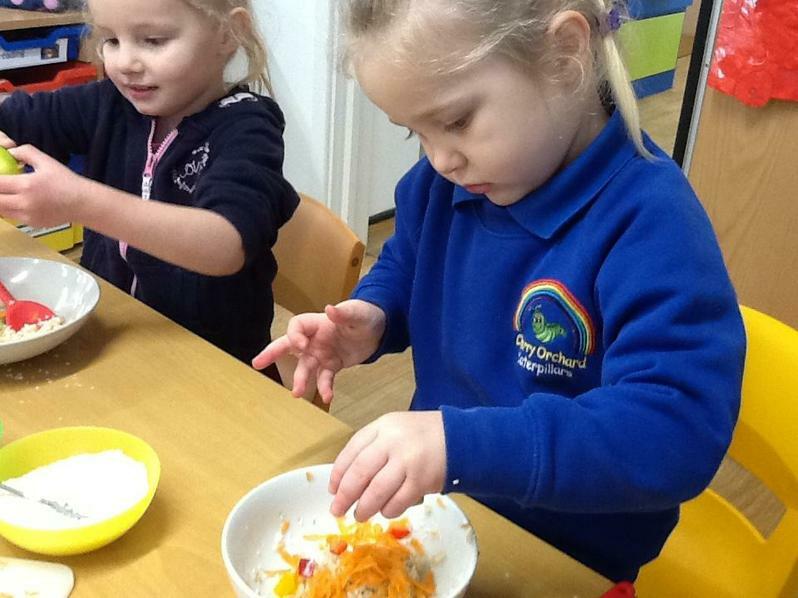 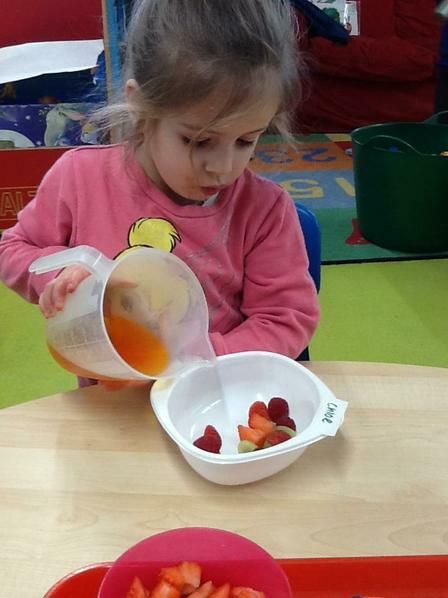 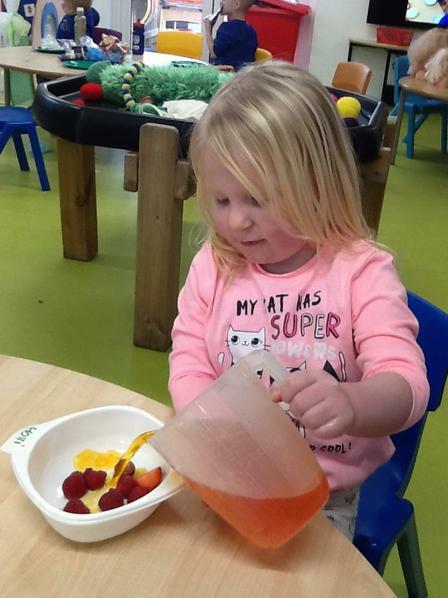 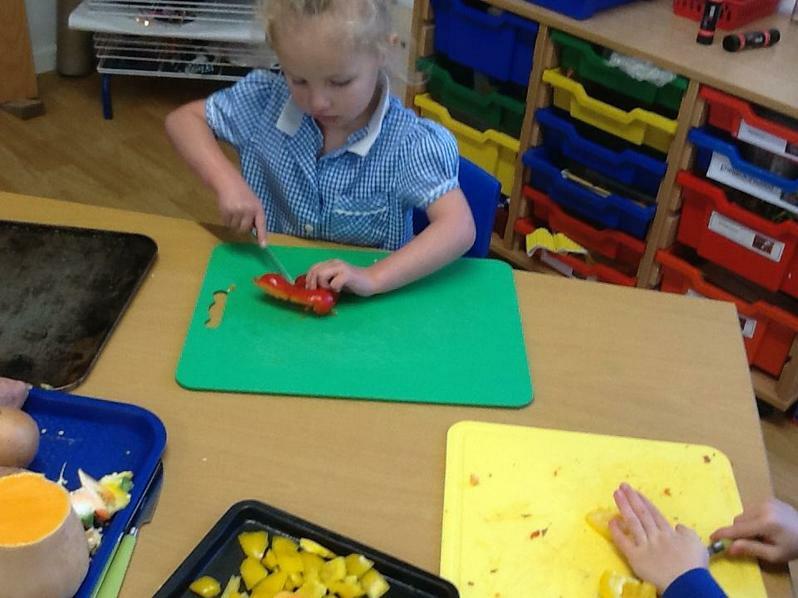 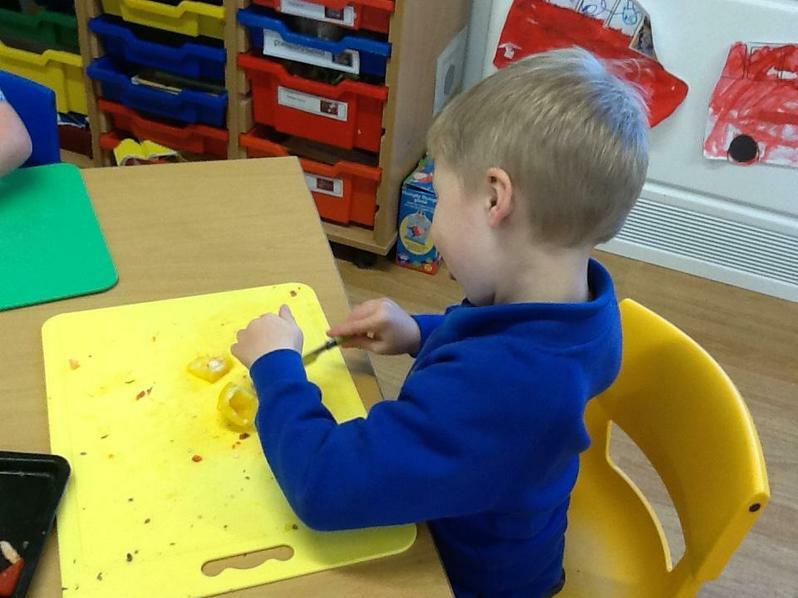 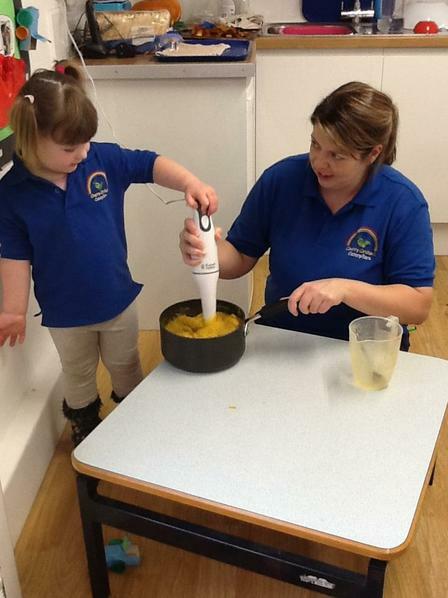 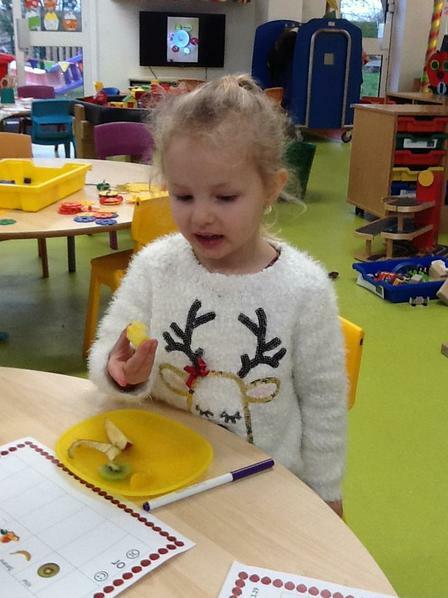 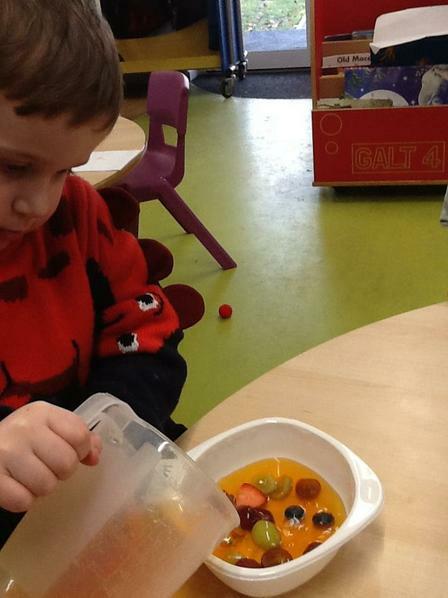 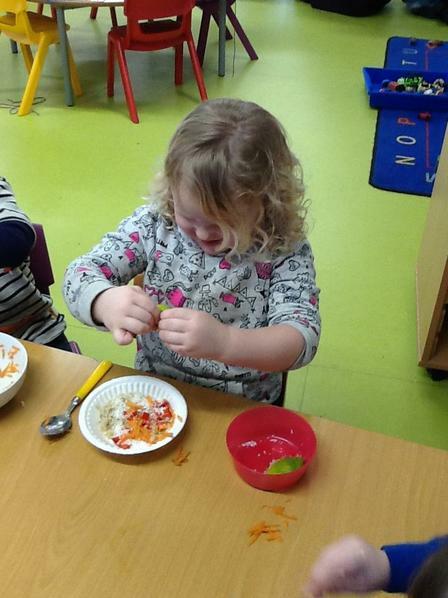 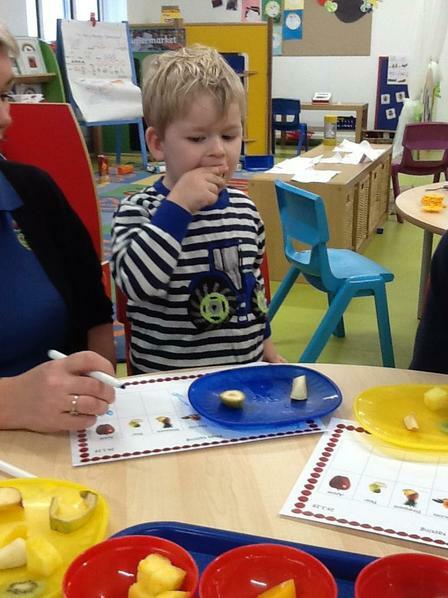 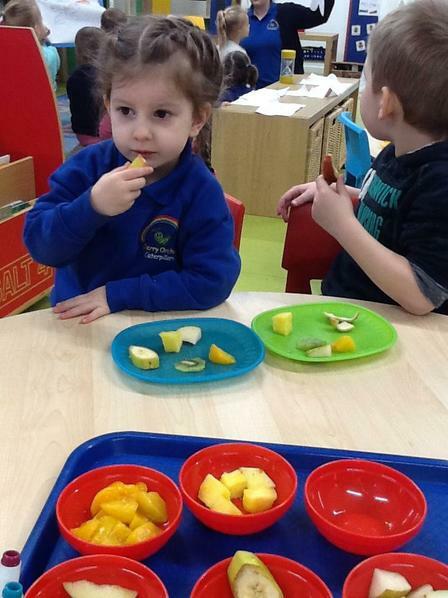 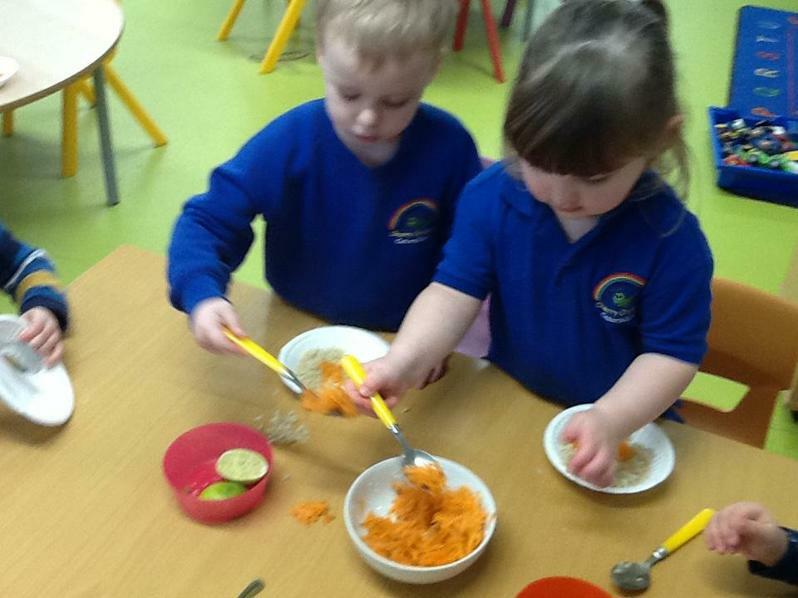 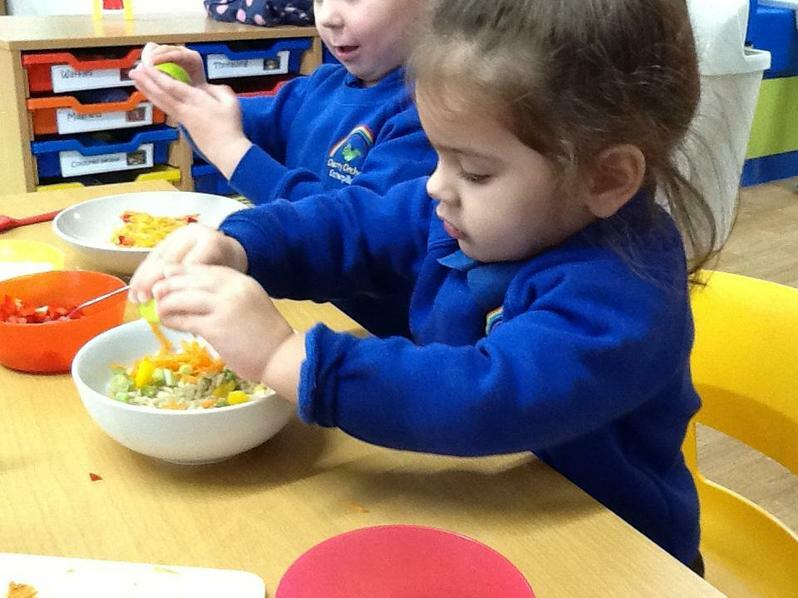 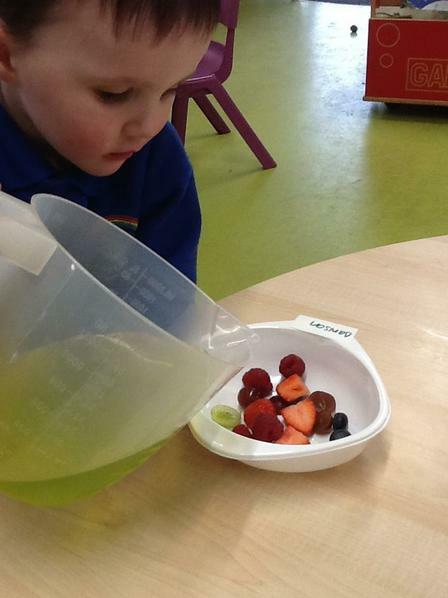 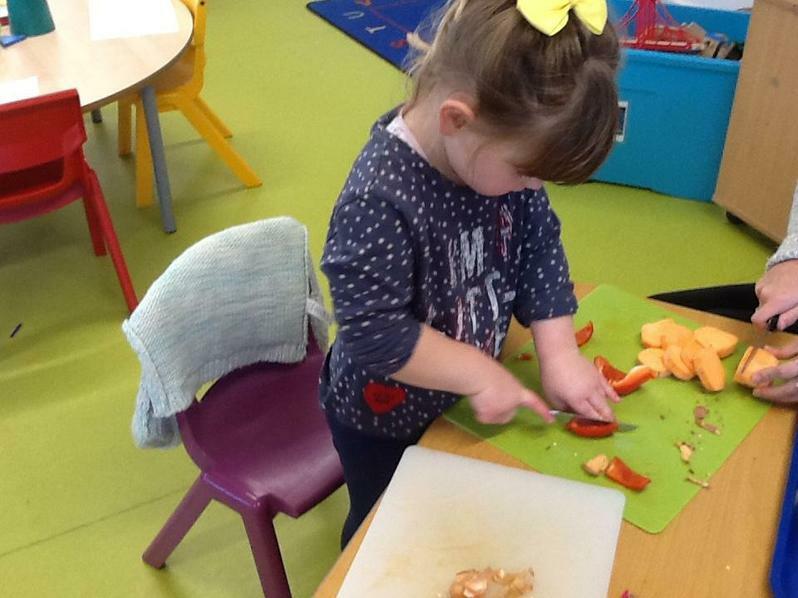 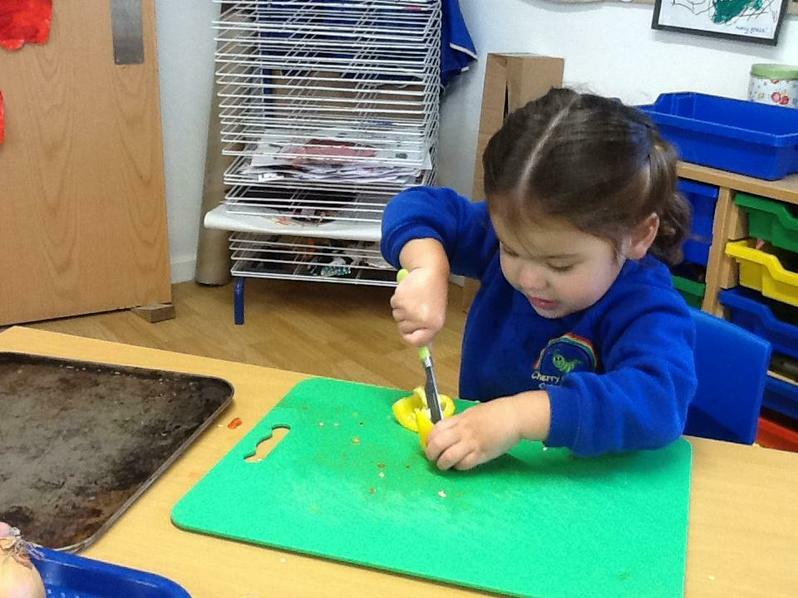 We have also been making fruit rainbows at snack time. 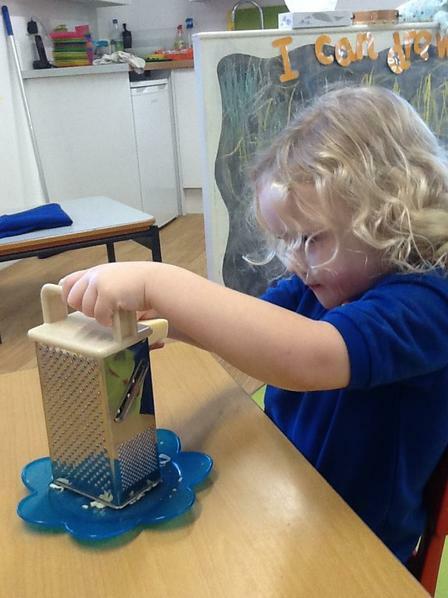 24.4.18 This morning in P.E we made our way around the obstacle course by balancing, crawling, jumping and weaving in and around the different obstacles. 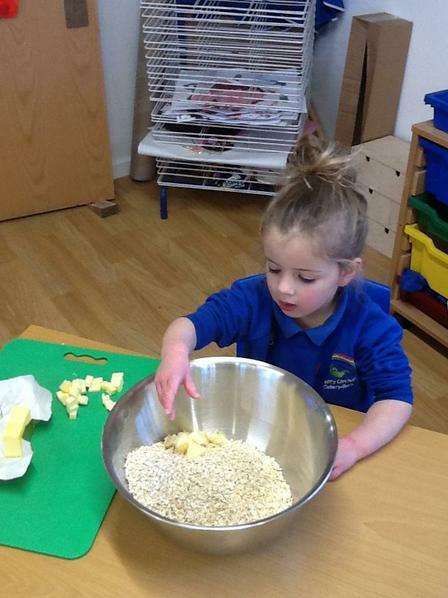 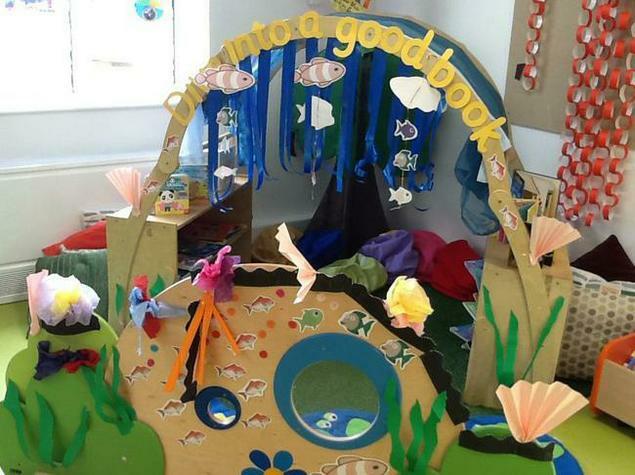 16.4.18 Beanstalk's- This half term our topic is Jack and the Beanstalk. 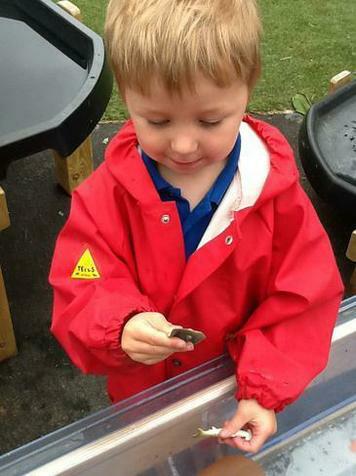 We have been planting beans, learning all about what they need to help them grow.